<img width="743" height="418" src="https://i2.wp.com/s3.amazonaws.com/wmfeimages/wp-content/uploads/2016/05/24135020/moon_and_earth_lroearthrise_frame_0.jpg?fit=743%2C418&ssl=1" class="webfeedsFeaturedVisual wp-post-image" alt="" style="display: block; margin: auto; margin-bottom: 5px;max-width: 100%;" link_thumbnail="" srcset="https://s3.amazonaws.com/wmfeimages/wp-content/uploads/2016/05/24135020/moon_and_earth_lroearthrise_frame_0.jpg 743w, https://s3.amazonaws.com/wmfeimages/wp-content/uploads/2016/05/24135020/moon_and_earth_lroearthrise_frame_0.jpg 250w, https://s3.amazonaws.com/wmfeimages/wp-content/uploads/2016/05/24135020/moon_and_earth_lroearthrise_frame_0.jpg 400w" sizes="(max-width: 743px) 100vw, 743px" />It has been a busy few weeks for moon news. Just last week, the Israeli non-profit SpaceIL attempted to land on the surface on the moon -- a first for a private group. Last month, the Trump administration charged NASA with putting humans on the moon in the next five years. <img width="743" height="541" src="https://i0.wp.com/s3.amazonaws.com/wmfeimages/wp-content/uploads/2019/03/20125244/Bennu-Particle-Ejection-Event-20190119.jpg?fit=743%2C541&ssl=1" class="webfeedsFeaturedVisual wp-post-image" alt="" style="display: block; margin: auto; margin-bottom: 5px;max-width: 100%;" link_thumbnail="" srcset="https://s3.amazonaws.com/wmfeimages/wp-content/uploads/2019/03/20125244/Bennu-Particle-Ejection-Event-20190119.jpg 1060w, https://s3.amazonaws.com/wmfeimages/wp-content/uploads/2019/03/20125244/Bennu-Particle-Ejection-Event-20190119.jpg 250w, https://s3.amazonaws.com/wmfeimages/wp-content/uploads/2019/03/20125244/Bennu-Particle-Ejection-Event-20190119.jpg 400w, https://s3.amazonaws.com/wmfeimages/wp-content/uploads/2019/03/20125244/Bennu-Particle-Ejection-Event-20190119.jpg 768w, https://s3.amazonaws.com/wmfeimages/wp-content/uploads/2019/03/20125244/Bennu-Particle-Ejection-Event-20190119.jpg 743w" sizes="(max-width: 743px) 100vw, 743px" />An asteroid some 50 million miles away is spewing pebble and rock-sized debris — and scientists don’t know why. The findings are the latest from a robotic spacecraft on a mission to visit the asteroid. Just How Close Are We To Putting Humans On Mars? <img width="743" height="557" src="https://i0.wp.com/s3.amazonaws.com/wmfeimages/wp-content/uploads/2016/10/11143558/mars.jpg?fit=743%2C557&ssl=1" class="webfeedsFeaturedVisual wp-post-image" alt="" style="display: block; margin: auto; margin-bottom: 5px;max-width: 100%;" link_thumbnail="" srcset="https://s3.amazonaws.com/wmfeimages/wp-content/uploads/2016/10/11143558/mars.jpg 800w, https://s3.amazonaws.com/wmfeimages/wp-content/uploads/2016/10/11143558/mars.jpg 250w, https://s3.amazonaws.com/wmfeimages/wp-content/uploads/2016/10/11143558/mars.jpg 400w, https://s3.amazonaws.com/wmfeimages/wp-content/uploads/2016/10/11143558/mars.jpg 768w, https://s3.amazonaws.com/wmfeimages/wp-content/uploads/2016/10/11143558/mars.jpg 743w" sizes="(max-width: 743px) 100vw, 743px" />For the past three years, WMFE's podcast has asked "when it comes to putting humans on Mars, are we there yet?" 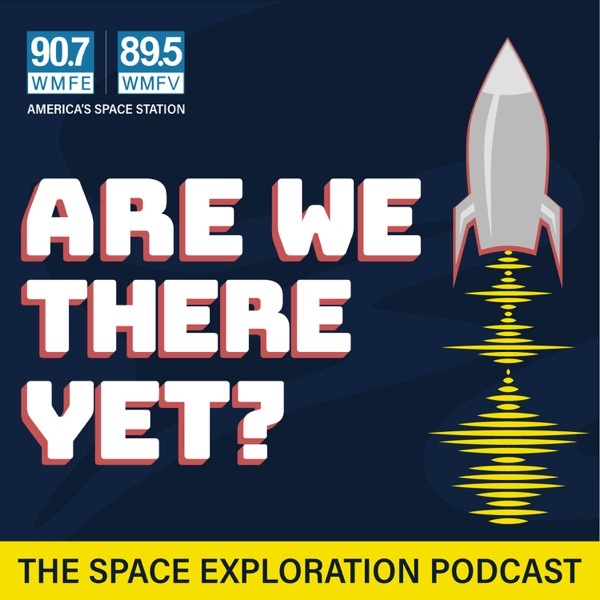 As the program reaches its third year, host Brendan Byrne asks the question to planetary scientist Phil Metzger and journalist Emilee Speck. What’s Next For NASA’s Commercial Crew Program? <img width="743" height="496" src="https://i0.wp.com/s3.amazonaws.com/wmfeimages/wp-content/uploads/2019/03/15153653/m6EeadwjHHvAD6vgspHSZj.jpg?fit=743%2C496&ssl=1" class="webfeedsFeaturedVisual wp-post-image" alt="" style="display: block; margin: auto; margin-bottom: 5px;max-width: 100%;" link_thumbnail="" srcset="https://s3.amazonaws.com/wmfeimages/wp-content/uploads/2019/03/15153653/m6EeadwjHHvAD6vgspHSZj.jpg 1060w, https://s3.amazonaws.com/wmfeimages/wp-content/uploads/2019/03/15153653/m6EeadwjHHvAD6vgspHSZj.jpg 250w, https://s3.amazonaws.com/wmfeimages/wp-content/uploads/2019/03/15153653/m6EeadwjHHvAD6vgspHSZj.jpg 400w, https://s3.amazonaws.com/wmfeimages/wp-content/uploads/2019/03/15153653/m6EeadwjHHvAD6vgspHSZj.jpg 768w, https://s3.amazonaws.com/wmfeimages/wp-content/uploads/2019/03/15153653/m6EeadwjHHvAD6vgspHSZj.jpg 743w" sizes="(max-width: 743px) 100vw, 743px" />SpaceX successfully launched its Crew Dragon capsule to the International Space Station, docked it to the orbiting outpost, and returned it safely to Earth. So what's ahead for NASA's partnership with SpaceX and Boeing to launch astronauts from U.S. soil? <img width="666" height="500" src="https://i1.wp.com/s3.amazonaws.com/wmfeimages/wp-content/uploads/2019/02/15133535/PIA04413_modest.jpg?fit=666%2C500&ssl=1" class="webfeedsFeaturedVisual wp-post-image" alt="" style="display: block; margin: auto; margin-bottom: 5px;max-width: 100%;" link_thumbnail="" srcset="https://s3.amazonaws.com/wmfeimages/wp-content/uploads/2019/02/15133535/PIA04413_modest.jpg 666w, https://s3.amazonaws.com/wmfeimages/wp-content/uploads/2019/02/15133535/PIA04413_modest.jpg 250w, https://s3.amazonaws.com/wmfeimages/wp-content/uploads/2019/02/15133535/PIA04413_modest.jpg 400w" sizes="(max-width: 666px) 100vw, 666px" />After 15 years, NASA has declared Opportunity’s mission complete. Earlier this week, the agency tried to contact the Mars rover one last. The rover had been radio silent since June. <img width="743" height="495" src="https://i2.wp.com/s3.amazonaws.com/wmfeimages/wp-content/uploads/2019/01/11121109/1024px-Abigail_Astronaut_Abby_Harrison_Aspiring_Astronaut_Founder_The_Mars_Generation.jpg?fit=743%2C495&ssl=1" class="webfeedsFeaturedVisual wp-post-image" alt="" style="display: block; margin: auto; margin-bottom: 5px;max-width: 100%;" link_thumbnail="" srcset="https://s3.amazonaws.com/wmfeimages/wp-content/uploads/2019/01/11121109/1024px-Abigail_Astronaut_Abby_Harrison_Aspiring_Astronaut_Founder_The_Mars_Generation.jpg 1024w, https://s3.amazonaws.com/wmfeimages/wp-content/uploads/2019/01/11121109/1024px-Abigail_Astronaut_Abby_Harrison_Aspiring_Astronaut_Founder_The_Mars_Generation.jpg 250w, https://s3.amazonaws.com/wmfeimages/wp-content/uploads/2019/01/11121109/1024px-Abigail_Astronaut_Abby_Harrison_Aspiring_Astronaut_Founder_The_Mars_Generation.jpg 400w, https://s3.amazonaws.com/wmfeimages/wp-content/uploads/2019/01/11121109/1024px-Abigail_Astronaut_Abby_Harrison_Aspiring_Astronaut_Founder_The_Mars_Generation.jpg 768w, https://s3.amazonaws.com/wmfeimages/wp-content/uploads/2019/01/11121109/1024px-Abigail_Astronaut_Abby_Harrison_Aspiring_Astronaut_Founder_The_Mars_Generation.jpg 743w" sizes="(max-width: 743px) 100vw, 743px" />Abigail Harrison wants to be the first person on Mars and she's on a mission to inspire others to help with those efforts. <img width="743" height="600" src="https://i0.wp.com/s3.amazonaws.com/wmfeimages/wp-content/uploads/2018/12/21112142/earthrise.jpg?fit=743%2C600&ssl=1" class="webfeedsFeaturedVisual wp-post-image" alt="" style="display: block; margin: auto; margin-bottom: 5px;max-width: 100%;" link_thumbnail="" srcset="https://s3.amazonaws.com/wmfeimages/wp-content/uploads/2018/12/21112142/earthrise.jpg 1060w, https://s3.amazonaws.com/wmfeimages/wp-content/uploads/2018/12/21112142/earthrise.jpg 250w, https://s3.amazonaws.com/wmfeimages/wp-content/uploads/2018/12/21112142/earthrise.jpg 400w, https://s3.amazonaws.com/wmfeimages/wp-content/uploads/2018/12/21112142/earthrise.jpg 768w, https://s3.amazonaws.com/wmfeimages/wp-content/uploads/2018/12/21112142/earthrise.jpg 743w" sizes="(max-width: 743px) 100vw, 743px" />Fifty years ago today, Frank Boreman, Jim Lovell and Bill Anders launch from the Kennedy Space Center atop a Saturn V rocket on humanity’s first mission to the moon. What’s Ahead For NASA’s Martian Robot Geologist? <img width="743" height="743" src="https://i0.wp.com/s3.amazonaws.com/wmfeimages/wp-content/uploads/2018/12/04122107/PIA22575_hires.jpg?fit=743%2C743&ssl=1" class="webfeedsFeaturedVisual wp-post-image" alt="" style="display: block; margin: auto; margin-bottom: 5px;max-width: 100%;" link_thumbnail="" srcset="https://s3.amazonaws.com/wmfeimages/wp-content/uploads/2018/12/04122107/PIA22575_hires.jpg 1000w, https://s3.amazonaws.com/wmfeimages/wp-content/uploads/2018/12/04122107/PIA22575_hires.jpg 250w, https://s3.amazonaws.com/wmfeimages/wp-content/uploads/2018/12/04122107/PIA22575_hires.jpg 400w, https://s3.amazonaws.com/wmfeimages/wp-content/uploads/2018/12/04122107/PIA22575_hires.jpg 768w, https://s3.amazonaws.com/wmfeimages/wp-content/uploads/2018/12/04122107/PIA22575_hires.jpg 743w, https://s3.amazonaws.com/wmfeimages/wp-content/uploads/2018/12/04122107/PIA22575_hires.jpg 144w" sizes="(max-width: 743px) 100vw, 743px" />The red planet just go another robot inhabitant. NASA’s Mars InSight lander touched down on November 26 after a six month trip through our solar system. So what do scientists hope to learn from InSight? <img width="743" height="522" src="https://i2.wp.com/s3.amazonaws.com/wmfeimages/wp-content/uploads/2018/11/02105402/canva-photo-editor.png?fit=743%2C522&ssl=1" class="webfeedsFeaturedVisual wp-post-image" alt="" style="display: block; margin: auto; margin-bottom: 5px;max-width: 100%;" link_thumbnail="" srcset="https://s3.amazonaws.com/wmfeimages/wp-content/uploads/2018/11/02105402/canva-photo-editor.png 1060w, https://s3.amazonaws.com/wmfeimages/wp-content/uploads/2018/11/02105402/canva-photo-editor.png 250w, https://s3.amazonaws.com/wmfeimages/wp-content/uploads/2018/11/02105402/canva-photo-editor.png 400w, https://s3.amazonaws.com/wmfeimages/wp-content/uploads/2018/11/02105402/canva-photo-editor.png 768w, https://s3.amazonaws.com/wmfeimages/wp-content/uploads/2018/11/02105402/canva-photo-editor.png 743w" sizes="(max-width: 743px) 100vw, 743px" />Every rocket that launches from Cape Canaveral falls under the watchful eye of the Air Force’s 45th Space Wing. <img width="743" height="495" src="https://i1.wp.com/s3.amazonaws.com/wmfeimages/wp-content/uploads/2018/10/12133622/43078195915_9e662776a0_k.jpg?fit=743%2C495&ssl=1" class="webfeedsFeaturedVisual wp-post-image" alt="" style="display: block; margin: auto; margin-bottom: 5px;max-width: 100%;" link_thumbnail="" srcset="https://s3.amazonaws.com/wmfeimages/wp-content/uploads/2018/10/12133622/43078195915_9e662776a0_k.jpg 1060w, https://s3.amazonaws.com/wmfeimages/wp-content/uploads/2018/10/12133622/43078195915_9e662776a0_k.jpg 250w, https://s3.amazonaws.com/wmfeimages/wp-content/uploads/2018/10/12133622/43078195915_9e662776a0_k.jpg 400w, https://s3.amazonaws.com/wmfeimages/wp-content/uploads/2018/10/12133622/43078195915_9e662776a0_k.jpg 768w, https://s3.amazonaws.com/wmfeimages/wp-content/uploads/2018/10/12133622/43078195915_9e662776a0_k.jpg 743w" sizes="(max-width: 743px) 100vw, 743px" />Tory Bruno is CEO of United Launch Alliance, the rocket giant responsible for more than a dozen missions to Mars. <img width="640" height="360" src="https://i1.wp.com/s3.amazonaws.com/wmfeimages/wp-content/uploads/2018/09/21151423/t1larg_chris_ferguson_nasa_gi1.jpg?fit=640%2C360&ssl=1" class="webfeedsFeaturedVisual wp-post-image" alt="" style="display: block; margin: auto; margin-bottom: 5px;max-width: 100%;" link_thumbnail="" srcset="https://s3.amazonaws.com/wmfeimages/wp-content/uploads/2018/09/21151423/t1larg_chris_ferguson_nasa_gi1.jpg 640w, https://s3.amazonaws.com/wmfeimages/wp-content/uploads/2018/09/21151423/t1larg_chris_ferguson_nasa_gi1.jpg 250w, https://s3.amazonaws.com/wmfeimages/wp-content/uploads/2018/09/21151423/t1larg_chris_ferguson_nasa_gi1.jpg 400w" sizes="(max-width: 640px) 100vw, 640px" />Chris Ferguson is a Boeing astronaut and soon he’ll command the first crewed mission of Boeing's Starliner on a trip to the International Space Station. <img width="743" height="482" src="https://i0.wp.com/s3.amazonaws.com/wmfeimages/wp-content/uploads/2018/04/27111837/nh-pluto_crop.jpg.png?fit=743%2C482&ssl=1" class="webfeedsFeaturedVisual wp-post-image" alt="" style="display: block; margin: auto; margin-bottom: 5px;max-width: 100%;" link_thumbnail="" srcset="https://s3.amazonaws.com/wmfeimages/wp-content/uploads/2018/04/27111837/nh-pluto_crop.jpg.png 1060w, https://s3.amazonaws.com/wmfeimages/wp-content/uploads/2018/04/27111837/nh-pluto_crop.jpg.png 250w, https://s3.amazonaws.com/wmfeimages/wp-content/uploads/2018/04/27111837/nh-pluto_crop.jpg.png 400w, https://s3.amazonaws.com/wmfeimages/wp-content/uploads/2018/04/27111837/nh-pluto_crop.jpg.png 768w, https://s3.amazonaws.com/wmfeimages/wp-content/uploads/2018/04/27111837/nh-pluto_crop.jpg.png 743w" sizes="(max-width: 743px) 100vw, 743px" />The debate over Pluto’s planethood has been reinvigorated once again, thanks to a new paper co-authored by a University of Central Florida planetary scientist. <img width="743" height="418" src="https://i0.wp.com/s3.amazonaws.com/wmfeimages/wp-content/uploads/2018/08/10123610/38765252_10108375237638482_8635820858654326784_n.jpg?fit=743%2C418&ssl=1" class="webfeedsFeaturedVisual wp-post-image" alt="" style="display: block; margin: auto; margin-bottom: 5px;max-width: 100%;" link_thumbnail="" srcset="https://s3.amazonaws.com/wmfeimages/wp-content/uploads/2018/08/10123610/38765252_10108375237638482_8635820858654326784_n.jpg 960w, https://s3.amazonaws.com/wmfeimages/wp-content/uploads/2018/08/10123610/38765252_10108375237638482_8635820858654326784_n.jpg 250w, https://s3.amazonaws.com/wmfeimages/wp-content/uploads/2018/08/10123610/38765252_10108375237638482_8635820858654326784_n.jpg 400w, https://s3.amazonaws.com/wmfeimages/wp-content/uploads/2018/08/10123610/38765252_10108375237638482_8635820858654326784_n.jpg 768w, https://s3.amazonaws.com/wmfeimages/wp-content/uploads/2018/08/10123610/38765252_10108375237638482_8635820858654326784_n.jpg 743w" sizes="(max-width: 743px) 100vw, 743px" />Last week, NASA announced Commercial Crew mission assignments. The Commercial Crew program will launch astronauts to the International Space Station from U.S. soil for the first time since 2011. NASA is doing it with private companies SpaceX and Boeing. <img width="743" height="514" src="https://i1.wp.com/s3.amazonaws.com/wmfeimages/wp-content/uploads/2018/07/25135758/Parker_Solar_Probe.jpg?fit=743%2C514&ssl=1" class="webfeedsFeaturedVisual wp-post-image" alt="" style="display: block; margin: auto; margin-bottom: 5px;max-width: 100%;" link_thumbnail="" srcset="https://s3.amazonaws.com/wmfeimages/wp-content/uploads/2018/07/25135758/Parker_Solar_Probe.jpg 1060w, https://s3.amazonaws.com/wmfeimages/wp-content/uploads/2018/07/25135758/Parker_Solar_Probe.jpg 250w, https://s3.amazonaws.com/wmfeimages/wp-content/uploads/2018/07/25135758/Parker_Solar_Probe.jpg 400w, https://s3.amazonaws.com/wmfeimages/wp-content/uploads/2018/07/25135758/Parker_Solar_Probe.jpg 768w, https://s3.amazonaws.com/wmfeimages/wp-content/uploads/2018/07/25135758/Parker_Solar_Probe.jpg 743w" sizes="(max-width: 743px) 100vw, 743px" />A spacecraft is about to launch on a mission to the sun, coming closer than any other spacecraft has ever come before and zooming through the solar system with mind-boggling speed. <img width="743" height="413" src="https://i2.wp.com/s3.amazonaws.com/wmfeimages/wp-content/uploads/2018/07/26112020/mars-comp1.jpg?fit=743%2C413&ssl=1" class="webfeedsFeaturedVisual wp-post-image" alt="" style="display: block; margin: auto; margin-bottom: 5px;max-width: 100%;" link_thumbnail="" srcset="https://s3.amazonaws.com/wmfeimages/wp-content/uploads/2018/07/26112020/mars-comp1.jpg 759w, https://s3.amazonaws.com/wmfeimages/wp-content/uploads/2018/07/26112020/mars-comp1.jpg 250w, https://s3.amazonaws.com/wmfeimages/wp-content/uploads/2018/07/26112020/mars-comp1.jpg 400w, https://s3.amazonaws.com/wmfeimages/wp-content/uploads/2018/07/26112020/mars-comp1.jpg 743w" sizes="(max-width: 743px) 100vw, 743px" />The discovery of water evidence is a huge discovery on the red planet but what does it mean for our future exploration on Mars? <img width="720" height="446" src="https://i2.wp.com/s3.amazonaws.com/wmfeimages/wp-content/uploads/2018/07/06131219/MarsOpposition20072-full2.jpg?fit=720%2C446&ssl=1" class="webfeedsFeaturedVisual wp-post-image" alt="" style="display: block; margin: auto; margin-bottom: 5px;max-width: 100%;" link_thumbnail="" srcset="https://s3.amazonaws.com/wmfeimages/wp-content/uploads/2018/07/06131219/MarsOpposition20072-full2.jpg 720w, https://s3.amazonaws.com/wmfeimages/wp-content/uploads/2018/07/06131219/MarsOpposition20072-full2.jpg 250w, https://s3.amazonaws.com/wmfeimages/wp-content/uploads/2018/07/06131219/MarsOpposition20072-full2.jpg 400w" sizes="(max-width: 720px) 100vw, 720px" />The Mars Opposition is happening at the end of this month. That means Mars and the sun are on opposite sides of the Earth, giving an up-close view of the red planet - the closest it has been in 15 years. <img width="620" height="350" src="https://i1.wp.com/s3.amazonaws.com/wmfeimages/wp-content/uploads/2018/01/23112118/mars-simulations-christiane-heinicke-hi-seas-620.jpg?fit=620%2C350&ssl=1" class="webfeedsFeaturedVisual wp-post-image" alt="" style="display: block; margin: auto; margin-bottom: 5px;max-width: 100%;" link_thumbnail="" srcset="https://s3.amazonaws.com/wmfeimages/wp-content/uploads/2018/01/23112118/mars-simulations-christiane-heinicke-hi-seas-620.jpg 620w, https://s3.amazonaws.com/wmfeimages/wp-content/uploads/2018/01/23112118/mars-simulations-christiane-heinicke-hi-seas-620.jpg 250w, https://s3.amazonaws.com/wmfeimages/wp-content/uploads/2018/01/23112118/mars-simulations-christiane-heinicke-hi-seas-620.jpg 400w" sizes="(max-width: 620px) 100vw, 620px" />A simulated Mars mission was cut short earlier this year after a crew member was injured. Just what happened in the fake Mars habitat in Hawaii and what does that mean for future experiments? <img width="743" height="743" src="https://i2.wp.com/s3.amazonaws.com/wmfeimages/wp-content/uploads/2018/06/27115000/133816main_image_feature_410_ys_full.jpg?fit=743%2C743&ssl=1" class="webfeedsFeaturedVisual wp-post-image" alt="" style="display: block; margin: auto; margin-bottom: 5px;max-width: 100%;" link_thumbnail="" srcset="https://s3.amazonaws.com/wmfeimages/wp-content/uploads/2018/06/27115000/133816main_image_feature_410_ys_full.jpg 1000w, https://s3.amazonaws.com/wmfeimages/wp-content/uploads/2018/06/27115000/133816main_image_feature_410_ys_full.jpg 250w, https://s3.amazonaws.com/wmfeimages/wp-content/uploads/2018/06/27115000/133816main_image_feature_410_ys_full.jpg 400w, https://s3.amazonaws.com/wmfeimages/wp-content/uploads/2018/06/27115000/133816main_image_feature_410_ys_full.jpg 768w, https://s3.amazonaws.com/wmfeimages/wp-content/uploads/2018/06/27115000/133816main_image_feature_410_ys_full.jpg 743w, https://s3.amazonaws.com/wmfeimages/wp-content/uploads/2018/06/27115000/133816main_image_feature_410_ys_full.jpg 144w" sizes="(max-width: 743px) 100vw, 743px" />In the 1960s, it was up to programmers like Alice Schmidt to help bring Gemini capsules safely home. <img width="743" height="418" src="https://i2.wp.com/s3.amazonaws.com/wmfeimages/wp-content/uploads/2018/05/11111229/33492_20040824_Humans_on_Mars_END.jpg?fit=743%2C418&ssl=1" class="webfeedsFeaturedVisual wp-post-image" alt="" style="display: block; margin: auto; margin-bottom: 5px;max-width: 100%;" link_thumbnail="" srcset="https://s3.amazonaws.com/wmfeimages/wp-content/uploads/2018/05/11111229/33492_20040824_Humans_on_Mars_END.jpg 1060w, https://s3.amazonaws.com/wmfeimages/wp-content/uploads/2018/05/11111229/33492_20040824_Humans_on_Mars_END.jpg 250w, https://s3.amazonaws.com/wmfeimages/wp-content/uploads/2018/05/11111229/33492_20040824_Humans_on_Mars_END.jpg 400w, https://s3.amazonaws.com/wmfeimages/wp-content/uploads/2018/05/11111229/33492_20040824_Humans_on_Mars_END.jpg 768w, https://s3.amazonaws.com/wmfeimages/wp-content/uploads/2018/05/11111229/33492_20040824_Humans_on_Mars_END.jpg 743w" sizes="(max-width: 743px) 100vw, 743px" />The Humans to Mars Summit wrapped up this week in Washington, D.C. It’s a yearly meeting of the minds to chat all things Mars and what it’s going to take to get people there. <img width="743" height="418" src="https://i0.wp.com/s3.amazonaws.com/wmfeimages/wp-content/uploads/2018/05/04115606/DcM7dkaVQAAUCuH.jpg?fit=743%2C418&ssl=1" class="webfeedsFeaturedVisual wp-post-image" alt="" style="display: block; margin: auto; margin-bottom: 5px;max-width: 100%;" link_thumbnail="" srcset="https://s3.amazonaws.com/wmfeimages/wp-content/uploads/2018/05/04115606/DcM7dkaVQAAUCuH.jpg 1060w, https://s3.amazonaws.com/wmfeimages/wp-content/uploads/2018/05/04115606/DcM7dkaVQAAUCuH.jpg 250w, https://s3.amazonaws.com/wmfeimages/wp-content/uploads/2018/05/04115606/DcM7dkaVQAAUCuH.jpg 400w, https://s3.amazonaws.com/wmfeimages/wp-content/uploads/2018/05/04115606/DcM7dkaVQAAUCuH.jpg 768w, https://s3.amazonaws.com/wmfeimages/wp-content/uploads/2018/05/04115606/DcM7dkaVQAAUCuH.jpg 743w" sizes="(max-width: 743px) 100vw, 743px" />NASA is poised to launch a robotic geologist to Mars. Before it blasts off, what goes into planning that trip? <img width="743" height="482" src="https://i0.wp.com/s3.amazonaws.com/wmfeimages/wp-content/uploads/2018/04/27111837/nh-pluto_crop.jpg.png?fit=743%2C482&ssl=1" class="webfeedsFeaturedVisual wp-post-image" alt="" style="display: block; margin: auto; margin-bottom: 5px;max-width: 100%;" link_thumbnail="" srcset="https://s3.amazonaws.com/wmfeimages/wp-content/uploads/2018/04/27111837/nh-pluto_crop.jpg.png 1060w, https://s3.amazonaws.com/wmfeimages/wp-content/uploads/2018/04/27111837/nh-pluto_crop.jpg.png 250w, https://s3.amazonaws.com/wmfeimages/wp-content/uploads/2018/04/27111837/nh-pluto_crop.jpg.png 400w, https://s3.amazonaws.com/wmfeimages/wp-content/uploads/2018/04/27111837/nh-pluto_crop.jpg.png 768w, https://s3.amazonaws.com/wmfeimages/wp-content/uploads/2018/04/27111837/nh-pluto_crop.jpg.png 743w" sizes="(max-width: 743px) 100vw, 743px" />Where were you when you first saw Pluto? The New Horizons flyby back in the summer of 2015 had all eyes on the deep spacecraft exploring the outermost parts of our solar system. <img width="743" height="496" src="https://i1.wp.com/s3.amazonaws.com/wmfeimages/wp-content/uploads/2018/04/10153246/seager_2013_hi-res-download1_1.jpg?fit=743%2C496&ssl=1" class="webfeedsFeaturedVisual wp-post-image" alt="" style="display: block; margin: auto; margin-bottom: 5px;max-width: 100%;" link_thumbnail="" srcset="https://s3.amazonaws.com/wmfeimages/wp-content/uploads/2018/04/10153246/seager_2013_hi-res-download1_1.jpg 1060w, https://s3.amazonaws.com/wmfeimages/wp-content/uploads/2018/04/10153246/seager_2013_hi-res-download1_1.jpg 250w, https://s3.amazonaws.com/wmfeimages/wp-content/uploads/2018/04/10153246/seager_2013_hi-res-download1_1.jpg 400w, https://s3.amazonaws.com/wmfeimages/wp-content/uploads/2018/04/10153246/seager_2013_hi-res-download1_1.jpg 768w, https://s3.amazonaws.com/wmfeimages/wp-content/uploads/2018/04/10153246/seager_2013_hi-res-download1_1.jpg 743w" sizes="(max-width: 743px) 100vw, 743px" />A new space telescope will help scientists identify alien worlds. <img width="575" height="325" src="https://i1.wp.com/s3.amazonaws.com/wmfeimages/wp-content/uploads/2015/09/15154342/blue-origin-photo.png?fit=575%2C325&ssl=1" class="webfeedsFeaturedVisual wp-post-image" alt="" style="display: block; margin: auto; margin-bottom: 5px;max-width: 100%;" link_thumbnail="" srcset="https://s3.amazonaws.com/wmfeimages/wp-content/uploads/2015/09/15154342/blue-origin-photo.png 575w, https://s3.amazonaws.com/wmfeimages/wp-content/uploads/2015/09/15154342/blue-origin-photo.png 250w, https://s3.amazonaws.com/wmfeimages/wp-content/uploads/2015/09/15154342/blue-origin-photo.png 400w" sizes="(max-width: 575px) 100vw, 575px" />Washington Post space reporter Christian Davenport spent years interviewing the space barons: Elon Musk, Jeff Bezos, Richard Branson and Paul Allen. What is it about space that makes them chase nearly impossible dreams? <img width="743" height="534" src="https://i2.wp.com/s3.amazonaws.com/wmfeimages/wp-content/uploads/2018/03/21113051/29261174_10155149987660876_2118640936857632768_o.jpg?fit=743%2C534&ssl=1" class="webfeedsFeaturedVisual wp-post-image" alt="" style="display: block; margin: auto; margin-bottom: 5px;max-width: 100%;" link_thumbnail="" srcset="https://s3.amazonaws.com/wmfeimages/wp-content/uploads/2018/03/21113051/29261174_10155149987660876_2118640936857632768_o.jpg 1060w, https://s3.amazonaws.com/wmfeimages/wp-content/uploads/2018/03/21113051/29261174_10155149987660876_2118640936857632768_o.jpg 250w, https://s3.amazonaws.com/wmfeimages/wp-content/uploads/2018/03/21113051/29261174_10155149987660876_2118640936857632768_o.jpg 400w, https://s3.amazonaws.com/wmfeimages/wp-content/uploads/2018/03/21113051/29261174_10155149987660876_2118640936857632768_o.jpg 768w, https://s3.amazonaws.com/wmfeimages/wp-content/uploads/2018/03/21113051/29261174_10155149987660876_2118640936857632768_o.jpg 743w" sizes="(max-width: 743px) 100vw, 743px" />To celebrate the second year of the podcast "Are We There Yet?" we commissioned designer Tim Gagnon to create a mission patch. What's the big deal with these things anyways? What’s Ahead For Space Exploration In Florida? <img width="743" height="444" src="https://i1.wp.com/s3.amazonaws.com/wmfeimages/wp-content/uploads/2018/03/16162556/29250018_10155149978365876_5578937864944615424_o.jpg?fit=743%2C444&ssl=1" class="webfeedsFeaturedVisual wp-post-image" alt="" style="display: block; margin: auto; margin-bottom: 5px;max-width: 100%;" link_thumbnail="" srcset="https://s3.amazonaws.com/wmfeimages/wp-content/uploads/2018/03/16162556/29250018_10155149978365876_5578937864944615424_o.jpg 1060w, https://s3.amazonaws.com/wmfeimages/wp-content/uploads/2018/03/16162556/29250018_10155149978365876_5578937864944615424_o.jpg 250w, https://s3.amazonaws.com/wmfeimages/wp-content/uploads/2018/03/16162556/29250018_10155149978365876_5578937864944615424_o.jpg 400w, https://s3.amazonaws.com/wmfeimages/wp-content/uploads/2018/03/16162556/29250018_10155149978365876_5578937864944615424_o.jpg 768w, https://s3.amazonaws.com/wmfeimages/wp-content/uploads/2018/03/16162556/29250018_10155149978365876_5578937864944615424_o.jpg 743w" sizes="(max-width: 743px) 100vw, 743px" />Florida’s Space Coast is roaring back to life. Nearly a decade after the shuttle was retired, we’re on the brink of a new age of space exploration that leverages commercial and academic partnerships to send humans farther into the solar system than ever before. <img width="640" height="414" src="https://i1.wp.com/s3.amazonaws.com/wmfeimages/wp-content/uploads/2018/03/02125209/28127833325_1a176a0f38_z.jpg?fit=640%2C414&ssl=1" class="webfeedsFeaturedVisual wp-post-image" alt="" style="display: block; margin: auto; margin-bottom: 5px;max-width: 100%;" link_thumbnail="" srcset="https://s3.amazonaws.com/wmfeimages/wp-content/uploads/2018/03/02125209/28127833325_1a176a0f38_z.jpg 640w, https://s3.amazonaws.com/wmfeimages/wp-content/uploads/2018/03/02125209/28127833325_1a176a0f38_z.jpg 250w, https://s3.amazonaws.com/wmfeimages/wp-content/uploads/2018/03/02125209/28127833325_1a176a0f38_z.jpg 400w" sizes="(max-width: 640px) 100vw, 640px" />There has only been one person who has flown on all five space shuttles. His name is Story Musgrave. <img width="719" height="743" src="https://i1.wp.com/s3.amazonaws.com/wmfeimages/wp-content/uploads/2018/02/23121447/28162000_1573233952730686_4031295343861339753_o.jpg?fit=719%2C743&ssl=1" class="webfeedsFeaturedVisual wp-post-image" alt="" style="display: block; margin: auto; margin-bottom: 5px;max-width: 100%;" link_thumbnail="" srcset="https://s3.amazonaws.com/wmfeimages/wp-content/uploads/2018/02/23121447/28162000_1573233952730686_4031295343861339753_o.jpg 968w, https://s3.amazonaws.com/wmfeimages/wp-content/uploads/2018/02/23121447/28162000_1573233952730686_4031295343861339753_o.jpg 250w, https://s3.amazonaws.com/wmfeimages/wp-content/uploads/2018/02/23121447/28162000_1573233952730686_4031295343861339753_o.jpg 387w, https://s3.amazonaws.com/wmfeimages/wp-content/uploads/2018/02/23121447/28162000_1573233952730686_4031295343861339753_o.jpg 768w, https://s3.amazonaws.com/wmfeimages/wp-content/uploads/2018/02/23121447/28162000_1573233952730686_4031295343861339753_o.jpg 719w" sizes="(max-width: 719px) 100vw, 719px" />You’ve probably heard about exoplanets, right? They're planets that live outside of our solar system. Scientists say they're about to discover tens of thousands of new exoplanets. <img width="743" height="418" src="https://i2.wp.com/s3.amazonaws.com/wmfeimages/wp-content/uploads/2018/02/09164154/tracker-2.jpg?fit=743%2C418&ssl=1" class="webfeedsFeaturedVisual wp-post-image" alt="" style="display: block; margin: auto; margin-bottom: 5px;max-width: 100%;" link_thumbnail="" srcset="https://s3.amazonaws.com/wmfeimages/wp-content/uploads/2018/02/09164154/tracker-2.jpg 1060w, https://s3.amazonaws.com/wmfeimages/wp-content/uploads/2018/02/09164154/tracker-2.jpg 250w, https://s3.amazonaws.com/wmfeimages/wp-content/uploads/2018/02/09164154/tracker-2.jpg 400w, https://s3.amazonaws.com/wmfeimages/wp-content/uploads/2018/02/09164154/tracker-2.jpg 768w, https://s3.amazonaws.com/wmfeimages/wp-content/uploads/2018/02/09164154/tracker-2.jpg 743w" sizes="(max-width: 743px) 100vw, 743px" />How do camera operators get such tight shots of rockets as they travel to space? By getting real close with a massive camera rig. <img width="743" height="496" src="https://i2.wp.com/s3.amazonaws.com/wmfeimages/wp-content/uploads/2018/01/05145256/pia19664-MAIN_InSight-Solar-Arrays-Open-4-30-15_0011.jpg?fit=743%2C496&ssl=1" class="webfeedsFeaturedVisual wp-post-image" alt="" style="display: block; margin: auto; margin-bottom: 5px;max-width: 100%;" link_thumbnail="" srcset="https://s3.amazonaws.com/wmfeimages/wp-content/uploads/2018/01/05145256/pia19664-MAIN_InSight-Solar-Arrays-Open-4-30-15_0011.jpg 1060w, https://s3.amazonaws.com/wmfeimages/wp-content/uploads/2018/01/05145256/pia19664-MAIN_InSight-Solar-Arrays-Open-4-30-15_0011.jpg 250w, https://s3.amazonaws.com/wmfeimages/wp-content/uploads/2018/01/05145256/pia19664-MAIN_InSight-Solar-Arrays-Open-4-30-15_0011.jpg 400w, https://s3.amazonaws.com/wmfeimages/wp-content/uploads/2018/01/05145256/pia19664-MAIN_InSight-Solar-Arrays-Open-4-30-15_0011.jpg 768w, https://s3.amazonaws.com/wmfeimages/wp-content/uploads/2018/01/05145256/pia19664-MAIN_InSight-Solar-Arrays-Open-4-30-15_0011.jpg 743w" sizes="(max-width: 743px) 100vw, 743px" />There's a bunch of exciting space exploration mission slated for 2018. From SpaceX's Falcon Heavy to NASA's next Mars lander, space enthusiasts have a lot to look forward to in the new year. Curiosity’s Drill Broke. Now what? <img width="743" height="477" src="https://i0.wp.com/s3.amazonaws.com/wmfeimages/wp-content/uploads/2017/12/05144009/msl_selfie_sol868_jan142015_hdr_lr.jpg?fit=743%2C477&ssl=1" class="webfeedsFeaturedVisual wp-post-image" alt="" style="display: block; margin: auto; margin-bottom: 5px;max-width: 100%;" link_thumbnail="" srcset="https://s3.amazonaws.com/wmfeimages/wp-content/uploads/2017/12/05144009/msl_selfie_sol868_jan142015_hdr_lr.jpg 1060w, https://s3.amazonaws.com/wmfeimages/wp-content/uploads/2017/12/05144009/msl_selfie_sol868_jan142015_hdr_lr.jpg 250w, https://s3.amazonaws.com/wmfeimages/wp-content/uploads/2017/12/05144009/msl_selfie_sol868_jan142015_hdr_lr.jpg 400w, https://s3.amazonaws.com/wmfeimages/wp-content/uploads/2017/12/05144009/msl_selfie_sol868_jan142015_hdr_lr.jpg 768w, https://s3.amazonaws.com/wmfeimages/wp-content/uploads/2017/12/05144009/msl_selfie_sol868_jan142015_hdr_lr.jpg 743w" sizes="(max-width: 743px) 100vw, 743px" />Last year, Curiosity's drill broke. The Mars rover had used the drill to acquire sample material from Martian rocks 15 times so far. But a sensor that monitors the amount of force used on the arm that hold the drill failed. That means Curiousity can’t tell if the drill bit is slipping or facing excessive force. After Scott Kelly’s Year In Space, What’s Next? <img width="743" height="363" src="https://i2.wp.com/s3.amazonaws.com/wmfeimages/wp-content/uploads/2017/11/22141205/XWdgTQm-asset-mezzanine-16x9-jTQ9pEN.jpg.focalcrop.993x485.50.10.jpg?fit=743%2C363&ssl=1" class="webfeedsFeaturedVisual wp-post-image" alt="" style="display: block; margin: auto; margin-bottom: 5px;max-width: 100%;" link_thumbnail="" srcset="https://s3.amazonaws.com/wmfeimages/wp-content/uploads/2017/11/22141205/XWdgTQm-asset-mezzanine-16x9-jTQ9pEN.jpg.focalcrop.993x485.50.10.jpg 993w, https://s3.amazonaws.com/wmfeimages/wp-content/uploads/2017/11/22141205/XWdgTQm-asset-mezzanine-16x9-jTQ9pEN.jpg.focalcrop.993x485.50.10.jpg 250w, https://s3.amazonaws.com/wmfeimages/wp-content/uploads/2017/11/22141205/XWdgTQm-asset-mezzanine-16x9-jTQ9pEN.jpg.focalcrop.993x485.50.10.jpg 400w, https://s3.amazonaws.com/wmfeimages/wp-content/uploads/2017/11/22141205/XWdgTQm-asset-mezzanine-16x9-jTQ9pEN.jpg.focalcrop.993x485.50.10.jpg 768w, https://s3.amazonaws.com/wmfeimages/wp-content/uploads/2017/11/22141205/XWdgTQm-asset-mezzanine-16x9-jTQ9pEN.jpg.focalcrop.993x485.50.10.jpg 743w" sizes="(max-width: 743px) 100vw, 743px" />As scientist continue to sift through all that data from Scott Kelly's year in space, the next generation of astronauts are beginning to look to longer missions in deep space and more extreme environments like the surface of Mars. <img width="743" height="454" src="https://i1.wp.com/s3.amazonaws.com/wmfeimages/wp-content/uploads/2017/11/02134920/scott-kelly1.jpg?fit=743%2C454&ssl=1" class="webfeedsFeaturedVisual wp-post-image" alt="" style="display: block; margin: auto; margin-bottom: 5px;max-width: 100%;" link_thumbnail="" srcset="https://s3.amazonaws.com/wmfeimages/wp-content/uploads/2017/11/02134920/scott-kelly1.jpg 1060w, https://s3.amazonaws.com/wmfeimages/wp-content/uploads/2017/11/02134920/scott-kelly1.jpg 250w, https://s3.amazonaws.com/wmfeimages/wp-content/uploads/2017/11/02134920/scott-kelly1.jpg 400w, https://s3.amazonaws.com/wmfeimages/wp-content/uploads/2017/11/02134920/scott-kelly1.jpg 768w, https://s3.amazonaws.com/wmfeimages/wp-content/uploads/2017/11/02134920/scott-kelly1.jpg 743w" sizes="(max-width: 743px) 100vw, 743px" />NASA ran an experiment on astronauts and twins Scott and Mark Kelly. They sent Scott up in space for nearly a year, and kept Mark on earth to see how bodies change in microgravity. <img width="743" height="418" src="https://i2.wp.com/s3.amazonaws.com/wmfeimages/wp-content/uploads/2017/10/05131610/20171003_185600.jpg?fit=743%2C418&ssl=1" class="webfeedsFeaturedVisual wp-post-image" alt="" style="display: block; margin: auto; margin-bottom: 5px;max-width: 100%;" link_thumbnail="" srcset="https://s3.amazonaws.com/wmfeimages/wp-content/uploads/2017/10/05131610/20171003_185600.jpg 1060w, https://s3.amazonaws.com/wmfeimages/wp-content/uploads/2017/10/05131610/20171003_185600.jpg 250w, https://s3.amazonaws.com/wmfeimages/wp-content/uploads/2017/10/05131610/20171003_185600.jpg 400w, https://s3.amazonaws.com/wmfeimages/wp-content/uploads/2017/10/05131610/20171003_185600.jpg 768w, https://s3.amazonaws.com/wmfeimages/wp-content/uploads/2017/10/05131610/20171003_185600.jpg 743w" sizes="(max-width: 743px) 100vw, 743px" />"Are We There Yet?" host Brendan Byrne takes a trip on SOFIA into the stratosphere as the aerial observatory chases the moon of Neptune over the Atlantic. <img width="743" height="495" src="https://i1.wp.com/s3.amazonaws.com/wmfeimages/wp-content/uploads/2017/10/06135333/Elon-Musk-Press-Conference_Karen-Marti%CC%81nez-12-1024x682.jpg?fit=743%2C495&ssl=1" class="webfeedsFeaturedVisual wp-post-image" alt="" style="display: block; margin: auto; margin-bottom: 5px;max-width: 100%;" link_thumbnail="" srcset="https://s3.amazonaws.com/wmfeimages/wp-content/uploads/2017/10/06135333/Elon-Musk-Press-Conference_Karen-Marti%CC%81nez-12-1024x682.jpg 1024w, https://s3.amazonaws.com/wmfeimages/wp-content/uploads/2017/10/06135333/Elon-Musk-Press-Conference_Karen-Marti%CC%81nez-12-1024x682.jpg 250w, https://s3.amazonaws.com/wmfeimages/wp-content/uploads/2017/10/06135333/Elon-Musk-Press-Conference_Karen-Marti%CC%81nez-12-1024x682.jpg 400w, https://s3.amazonaws.com/wmfeimages/wp-content/uploads/2017/10/06135333/Elon-Musk-Press-Conference_Karen-Marti%CC%81nez-12-1024x682.jpg 768w, https://s3.amazonaws.com/wmfeimages/wp-content/uploads/2017/10/06135333/Elon-Musk-Press-Conference_Karen-Marti%CC%81nez-12-1024x682.jpg 743w" sizes="(max-width: 743px) 100vw, 743px" />Elon Musk has a new plan for Mars and Vice President Mike Pence formalized a goal of going back to the moon. So what does this all mean for space exploration? Mashable's Deputy Science Editor Miriam Kramer joins the podcast to break it down. <img width="743" height="492" src="https://i2.wp.com/s3.amazonaws.com/wmfeimages/wp-content/uploads/2017/08/22162623/DSC_0187-1.jpg?fit=743%2C492&ssl=1" class="webfeedsFeaturedVisual wp-post-image" alt="" style="display: block; margin: auto; margin-bottom: 5px;max-width: 100%;" link_thumbnail="" srcset="https://s3.amazonaws.com/wmfeimages/wp-content/uploads/2017/08/22162623/DSC_0187-1.jpg 1060w, https://s3.amazonaws.com/wmfeimages/wp-content/uploads/2017/08/22162623/DSC_0187-1.jpg 250w, https://s3.amazonaws.com/wmfeimages/wp-content/uploads/2017/08/22162623/DSC_0187-1.jpg 400w, https://s3.amazonaws.com/wmfeimages/wp-content/uploads/2017/08/22162623/DSC_0187-1.jpg 768w, https://s3.amazonaws.com/wmfeimages/wp-content/uploads/2017/08/22162623/DSC_0187-1.jpg 743w" sizes="(max-width: 743px) 100vw, 743px" />How do you build a mobile launch pad that will handle missions to deep space? <img width="743" height="496" src="https://i1.wp.com/s3.amazonaws.com/wmfeimages/wp-content/uploads/2017/08/02140143/platform_to_vab_floor.jpg?fit=743%2C496&ssl=1" class="webfeedsFeaturedVisual wp-post-image" alt="" style="display: block; margin: auto; margin-bottom: 5px;max-width: 100%;" link_thumbnail="" srcset="https://s3.amazonaws.com/wmfeimages/wp-content/uploads/2017/08/02140143/platform_to_vab_floor.jpg 1060w, https://s3.amazonaws.com/wmfeimages/wp-content/uploads/2017/08/02140143/platform_to_vab_floor.jpg 250w, https://s3.amazonaws.com/wmfeimages/wp-content/uploads/2017/08/02140143/platform_to_vab_floor.jpg 400w, https://s3.amazonaws.com/wmfeimages/wp-content/uploads/2017/08/02140143/platform_to_vab_floor.jpg 768w, https://s3.amazonaws.com/wmfeimages/wp-content/uploads/2017/08/02140143/platform_to_vab_floor.jpg 743w" sizes="(max-width: 743px) 100vw, 743px" />Before NASA can launch its next big rocket, the Space Launch System, it has to put it together. <img width="640" height="427" src="https://i2.wp.com/s3.amazonaws.com/wmfeimages/wp-content/uploads/2017/07/07152559/32400250043_016b9a878a_z.jpg?fit=640%2C427&ssl=1" class="webfeedsFeaturedVisual wp-post-image" alt="" style="display: block; margin: auto; margin-bottom: 5px;max-width: 100%;" link_thumbnail="" srcset="https://s3.amazonaws.com/wmfeimages/wp-content/uploads/2017/07/07152559/32400250043_016b9a878a_z.jpg 640w, https://s3.amazonaws.com/wmfeimages/wp-content/uploads/2017/07/07152559/32400250043_016b9a878a_z.jpg 250w, https://s3.amazonaws.com/wmfeimages/wp-content/uploads/2017/07/07152559/32400250043_016b9a878a_z.jpg 400w" sizes="(max-width: 640px) 100vw, 640px" />NASA is in the process of developing a rocket system that will take humans past low-earth orbit and into deep space. That huge rocket will launch an uncrewed capsule on a trip around the moon sometime in 2019. And that mission starts from the Kennedy Space Center. So how is the space center prepping for that launch? Buzz Aldrin Is Obsessed With Mars. His Son Is Helping Get Humans There. <img width="743" height="743" src="https://i2.wp.com/s3.amazonaws.com/wmfeimages/wp-content/uploads/2017/06/22121752/920876_762x762.jpg?fit=743%2C743&ssl=1" class="webfeedsFeaturedVisual wp-post-image" alt="" style="display: block; margin: auto; margin-bottom: 5px;max-width: 100%;" link_thumbnail="" srcset="https://s3.amazonaws.com/wmfeimages/wp-content/uploads/2017/06/22121752/920876_762x762.jpg 762w, https://s3.amazonaws.com/wmfeimages/wp-content/uploads/2017/06/22121752/920876_762x762.jpg 250w, https://s3.amazonaws.com/wmfeimages/wp-content/uploads/2017/06/22121752/920876_762x762.jpg 400w, https://s3.amazonaws.com/wmfeimages/wp-content/uploads/2017/06/22121752/920876_762x762.jpg 743w, https://s3.amazonaws.com/wmfeimages/wp-content/uploads/2017/06/22121752/920876_762x762.jpg 144w" sizes="(max-width: 743px) 100vw, 743px" /> The Apollo 11 astronaut and second person to walk on the moon is now developing a plan to send humans to live permanently on the red planet. <img width="743" height="418" src="https://i0.wp.com/s3.amazonaws.com/wmfeimages/wp-content/uploads/2017/06/02130441/Dante_Lauretta_thumbnail.png?fit=743%2C418&ssl=1" class="webfeedsFeaturedVisual wp-post-image" alt="" style="display: block; margin: auto; margin-bottom: 5px;max-width: 100%;" link_thumbnail="" srcset="https://s3.amazonaws.com/wmfeimages/wp-content/uploads/2017/06/02130441/Dante_Lauretta_thumbnail.png 1060w, https://s3.amazonaws.com/wmfeimages/wp-content/uploads/2017/06/02130441/Dante_Lauretta_thumbnail.png 250w, https://s3.amazonaws.com/wmfeimages/wp-content/uploads/2017/06/02130441/Dante_Lauretta_thumbnail.png 400w, https://s3.amazonaws.com/wmfeimages/wp-content/uploads/2017/06/02130441/Dante_Lauretta_thumbnail.png 768w, https://s3.amazonaws.com/wmfeimages/wp-content/uploads/2017/06/02130441/Dante_Lauretta_thumbnail.png 743w" sizes="(max-width: 743px) 100vw, 743px" />OSIRIS-REx is zooming towards the asteroid Bennu. It's on a mission to collect a sample of asteroid "dirt" and send it back to Earth. Scientists hope to uncover the building blocks of life in the solar system. The spacecraft launched last summer, so what's it up to these days? <img width="743" height="496" src="https://i1.wp.com/s3.amazonaws.com/wmfeimages/wp-content/uploads/2017/05/18151319/Suchgreatheights_stottpainting.jpg?fit=743%2C496&ssl=1" class="webfeedsFeaturedVisual wp-post-image" alt="" style="display: block; margin: auto; margin-bottom: 5px;max-width: 100%;" link_thumbnail="" srcset="https://s3.amazonaws.com/wmfeimages/wp-content/uploads/2017/05/18151319/Suchgreatheights_stottpainting.jpg 1060w, https://s3.amazonaws.com/wmfeimages/wp-content/uploads/2017/05/18151319/Suchgreatheights_stottpainting.jpg 250w, https://s3.amazonaws.com/wmfeimages/wp-content/uploads/2017/05/18151319/Suchgreatheights_stottpainting.jpg 400w, https://s3.amazonaws.com/wmfeimages/wp-content/uploads/2017/05/18151319/Suchgreatheights_stottpainting.jpg 768w, https://s3.amazonaws.com/wmfeimages/wp-content/uploads/2017/05/18151319/Suchgreatheights_stottpainting.jpg 743w" sizes="(max-width: 743px) 100vw, 743px" />Nicole Stott calls herself the Artistic Astronaut -- and for good reason. She’s the first person to paint in space. <img width="743" height="520" src="https://i2.wp.com/s3.amazonaws.com/wmfeimages/wp-content/uploads/2017/05/12135126/18403895_10154280218805876_8433501664841498667_o.jpg?fit=743%2C520&ssl=1" class="webfeedsFeaturedVisual wp-post-image" alt="" style="display: block; margin: auto; margin-bottom: 5px;max-width: 100%;" link_thumbnail="" srcset="https://s3.amazonaws.com/wmfeimages/wp-content/uploads/2017/05/12135126/18403895_10154280218805876_8433501664841498667_o.jpg 1060w, https://s3.amazonaws.com/wmfeimages/wp-content/uploads/2017/05/12135126/18403895_10154280218805876_8433501664841498667_o.jpg 250w, https://s3.amazonaws.com/wmfeimages/wp-content/uploads/2017/05/12135126/18403895_10154280218805876_8433501664841498667_o.jpg 400w, https://s3.amazonaws.com/wmfeimages/wp-content/uploads/2017/05/12135126/18403895_10154280218805876_8433501664841498667_o.jpg 768w, https://s3.amazonaws.com/wmfeimages/wp-content/uploads/2017/05/12135126/18403895_10154280218805876_8433501664841498667_o.jpg 743w" sizes="(max-width: 743px) 100vw, 743px" />When the first Martians arrive on the red planet, not much awaits them. There’s no food, no breathable air, no fuel. All they’ll have is what they brought with them -- not much. So how are they going to survive? <img width="640" height="427" src="https://i2.wp.com/s3.amazonaws.com/wmfeimages/wp-content/uploads/2017/04/04154320/32996435084_6099659456_z.jpg?fit=640%2C427&ssl=1" class="webfeedsFeaturedVisual wp-post-image" alt="" style="display: block; margin: auto; margin-bottom: 5px;max-width: 100%;" link_thumbnail="" srcset="https://s3.amazonaws.com/wmfeimages/wp-content/uploads/2017/04/04154320/32996435084_6099659456_z.jpg 640w, https://s3.amazonaws.com/wmfeimages/wp-content/uploads/2017/04/04154320/32996435084_6099659456_z.jpg 250w, https://s3.amazonaws.com/wmfeimages/wp-content/uploads/2017/04/04154320/32996435084_6099659456_z.jpg 400w" sizes="(max-width: 640px) 100vw, 640px" />SpaceX successful launched and landed a "flight proven" rocket booster, the second time this particular booster has seen action and making space flight history. But just what goes into the engineering feat of landing a 180 foot tall booster that's rocketing through the sky? What To Do With Space Waste? <img width="743" height="418" src="https://i1.wp.com/s3.amazonaws.com/wmfeimages/wp-content/uploads/2017/02/15094646/space-poop.png?fit=743%2C418&ssl=1" class="webfeedsFeaturedVisual wp-post-image" alt="" style="display: block; margin: auto; margin-bottom: 5px;max-width: 100%;" link_thumbnail="" srcset="https://s3.amazonaws.com/wmfeimages/wp-content/uploads/2017/02/15094646/space-poop.png 1060w, https://s3.amazonaws.com/wmfeimages/wp-content/uploads/2017/02/15094646/space-poop.png 250w, https://s3.amazonaws.com/wmfeimages/wp-content/uploads/2017/02/15094646/space-poop.png 400w, https://s3.amazonaws.com/wmfeimages/wp-content/uploads/2017/02/15094646/space-poop.png 768w, https://s3.amazonaws.com/wmfeimages/wp-content/uploads/2017/02/15094646/space-poop.png 743w" sizes="(max-width: 743px) 100vw, 743px" />A few months ago, NASA asked the internet for ideas on how to deal with urine and feces inside a flight suit. Flight Surgeon Thatcher Cardon explains how his idea safely removes waste and why NASA thought it was the winning idea. <img width="640" height="427" src="https://i2.wp.com/s3.amazonaws.com/wmfeimages/wp-content/uploads/2017/04/04154320/32996435084_6099659456_z.jpg?fit=640%2C427&ssl=1" class="webfeedsFeaturedVisual wp-post-image" alt="" style="display: block; margin: auto; margin-bottom: 5px;max-width: 100%;" link_thumbnail="" srcset="https://s3.amazonaws.com/wmfeimages/wp-content/uploads/2017/04/04154320/32996435084_6099659456_z.jpg 640w, https://s3.amazonaws.com/wmfeimages/wp-content/uploads/2017/04/04154320/32996435084_6099659456_z.jpg 250w, https://s3.amazonaws.com/wmfeimages/wp-content/uploads/2017/04/04154320/32996435084_6099659456_z.jpg 400w" sizes="(max-width: 640px) 100vw, 640px" />SpaceX's ability to launch, land and recycle a rocket could lower the cost of access to space, and pave the way for founder Elon Musk's to reach his ambitious goal of colonizing the red planet. <img width="743" height="283" src="https://i0.wp.com/s3.amazonaws.com/wmfeimages/wp-content/uploads/2017/03/29103109/Mars_Spirit_Rover_Gusev_Crater_Longhorn_Rock_PIA06770-full.jpg?fit=743%2C283&ssl=1" class="webfeedsFeaturedVisual wp-post-image" alt="" style="display: block; margin: auto; margin-bottom: 5px;max-width: 100%;" link_thumbnail="" srcset="https://s3.amazonaws.com/wmfeimages/wp-content/uploads/2017/03/29103109/Mars_Spirit_Rover_Gusev_Crater_Longhorn_Rock_PIA06770-full.jpg 1060w, https://s3.amazonaws.com/wmfeimages/wp-content/uploads/2017/03/29103109/Mars_Spirit_Rover_Gusev_Crater_Longhorn_Rock_PIA06770-full.jpg 250w, https://s3.amazonaws.com/wmfeimages/wp-content/uploads/2017/03/29103109/Mars_Spirit_Rover_Gusev_Crater_Longhorn_Rock_PIA06770-full.jpg 400w, https://s3.amazonaws.com/wmfeimages/wp-content/uploads/2017/03/29103109/Mars_Spirit_Rover_Gusev_Crater_Longhorn_Rock_PIA06770-full.jpg 768w, https://s3.amazonaws.com/wmfeimages/wp-content/uploads/2017/03/29103109/Mars_Spirit_Rover_Gusev_Crater_Longhorn_Rock_PIA06770-full.jpg 743w" sizes="(max-width: 743px) 100vw, 743px" />Where's the next Mars rover heading? Scientists at the 48th Lunar and Planetary Science Conference weigh in on three potential landing sites. <img width="512" height="337" src="https://i2.wp.com/s3.amazonaws.com/wmfeimages/wp-content/uploads/2017/03/20164802/imagefromsapce.jpg?fit=512%2C337&ssl=1" class="webfeedsFeaturedVisual wp-post-image" alt="" style="display: block; margin: auto; margin-bottom: 5px;max-width: 100%;" link_thumbnail="" srcset="https://s3.amazonaws.com/wmfeimages/wp-content/uploads/2017/03/20164802/imagefromsapce.jpg 512w, https://s3.amazonaws.com/wmfeimages/wp-content/uploads/2017/03/20164802/imagefromsapce.jpg 250w, https://s3.amazonaws.com/wmfeimages/wp-content/uploads/2017/03/20164802/imagefromsapce.jpg 400w" sizes="(max-width: 512px) 100vw, 512px" />Bruce Melnick has been to space twice. Once on Space Shuttle Discovery and again on Endeavor's’ first flight. He joins 'Are We There Yet?' to tell listeners about the sights and smells of space travel. <img width="743" height="495" src="https://i0.wp.com/s3.amazonaws.com/wmfeimages/wp-content/uploads/2017/03/14140336/NASA-ORION-CHUTE.jpg?fit=743%2C495&ssl=1" class="webfeedsFeaturedVisual wp-post-image" alt="" style="display: block; margin: auto; margin-bottom: 5px;max-width: 100%;" link_thumbnail="" srcset="https://s3.amazonaws.com/wmfeimages/wp-content/uploads/2017/03/14140336/NASA-ORION-CHUTE.jpg 1060w, https://s3.amazonaws.com/wmfeimages/wp-content/uploads/2017/03/14140336/NASA-ORION-CHUTE.jpg 250w, https://s3.amazonaws.com/wmfeimages/wp-content/uploads/2017/03/14140336/NASA-ORION-CHUTE.jpg 400w, https://s3.amazonaws.com/wmfeimages/wp-content/uploads/2017/03/14140336/NASA-ORION-CHUTE.jpg 768w, https://s3.amazonaws.com/wmfeimages/wp-content/uploads/2017/03/14140336/NASA-ORION-CHUTE.jpg 743w" sizes="(max-width: 743px) 100vw, 743px" />How do you stop a 20,000 pound spacecraft traveling 300 miles per hour? Explosions and parachutes, that's how. <img width="743" height="371" src="https://i1.wp.com/s3.amazonaws.com/wmfeimages/wp-content/uploads/2017/03/03151415/BeFunky-Collage.jpg?fit=743%2C371&ssl=1" class="webfeedsFeaturedVisual wp-post-image" alt="" style="display: block; margin: auto; margin-bottom: 5px;max-width: 100%;" link_thumbnail="" srcset="https://s3.amazonaws.com/wmfeimages/wp-content/uploads/2017/03/03151415/BeFunky-Collage.jpg 1060w, https://s3.amazonaws.com/wmfeimages/wp-content/uploads/2017/03/03151415/BeFunky-Collage.jpg 250w, https://s3.amazonaws.com/wmfeimages/wp-content/uploads/2017/03/03151415/BeFunky-Collage.jpg 400w, https://s3.amazonaws.com/wmfeimages/wp-content/uploads/2017/03/03151415/BeFunky-Collage.jpg 768w, https://s3.amazonaws.com/wmfeimages/wp-content/uploads/2017/03/03151415/BeFunky-Collage.jpg 743w" sizes="(max-width: 743px) 100vw, 743px" />Elon Musk wants to go to the moon. Well, two private customers want Elon to send them to the moon. The founder of SpaceX says he can do it by the end of 2018. But the mission is similar to one NASA is working on. Is there a new space race on the horizon? <img width="743" height="418" src="https://i2.wp.com/s3.amazonaws.com/wmfeimages/wp-content/uploads/2017/02/08131109/sls-70mt-dac3-orange-night-prelaunch-uhr2.jpg?fit=743%2C418&ssl=1" class="webfeedsFeaturedVisual wp-post-image" alt="" style="display: block; margin: auto; margin-bottom: 5px;max-width: 100%;" link_thumbnail="" srcset="https://s3.amazonaws.com/wmfeimages/wp-content/uploads/2017/02/08131109/sls-70mt-dac3-orange-night-prelaunch-uhr2.jpg 1060w, https://s3.amazonaws.com/wmfeimages/wp-content/uploads/2017/02/08131109/sls-70mt-dac3-orange-night-prelaunch-uhr2.jpg 250w, https://s3.amazonaws.com/wmfeimages/wp-content/uploads/2017/02/08131109/sls-70mt-dac3-orange-night-prelaunch-uhr2.jpg 400w, https://s3.amazonaws.com/wmfeimages/wp-content/uploads/2017/02/08131109/sls-70mt-dac3-orange-night-prelaunch-uhr2.jpg 768w, https://s3.amazonaws.com/wmfeimages/wp-content/uploads/2017/02/08131109/sls-70mt-dac3-orange-night-prelaunch-uhr2.jpg 743w" sizes="(max-width: 743px) 100vw, 743px" />Could humans be on NASA's next deep-space mission, as early as 2019? NASA’s acting director Robert Lightfoot wants to find out. <img width="743" height="496" src="https://i1.wp.com/s3.amazonaws.com/wmfeimages/wp-content/uploads/2017/02/06140319/IMG_1973.jpg?fit=743%2C496&ssl=1" class="webfeedsFeaturedVisual wp-post-image" alt="" style="display: block; margin: auto; margin-bottom: 5px;max-width: 100%;" link_thumbnail="" srcset="https://s3.amazonaws.com/wmfeimages/wp-content/uploads/2017/02/06140319/IMG_1973.jpg 1060w, https://s3.amazonaws.com/wmfeimages/wp-content/uploads/2017/02/06140319/IMG_1973.jpg 250w, https://s3.amazonaws.com/wmfeimages/wp-content/uploads/2017/02/06140319/IMG_1973.jpg 400w, https://s3.amazonaws.com/wmfeimages/wp-content/uploads/2017/02/06140319/IMG_1973.jpg 768w, https://s3.amazonaws.com/wmfeimages/wp-content/uploads/2017/02/06140319/IMG_1973.jpg 743w" sizes="(max-width: 743px) 100vw, 743px" />﻿﻿Ralph Fritsche is a lot like Mark Watney. He’s growing potatoes in Martian regolith. And as we’ll find out, it’s harder than it looks. <img width="743" height="495" src="https://i2.wp.com/s3.amazonaws.com/wmfeimages/wp-content/uploads/2017/01/27150022/iss044e033362-veggie1_1.jpg?fit=743%2C495&ssl=1" class="webfeedsFeaturedVisual wp-post-image" alt="" style="display: block; margin: auto; margin-bottom: 5px;max-width: 100%;" link_thumbnail="" srcset="https://s3.amazonaws.com/wmfeimages/wp-content/uploads/2017/01/27150022/iss044e033362-veggie1_1.jpg 1060w, https://s3.amazonaws.com/wmfeimages/wp-content/uploads/2017/01/27150022/iss044e033362-veggie1_1.jpg 250w, https://s3.amazonaws.com/wmfeimages/wp-content/uploads/2017/01/27150022/iss044e033362-veggie1_1.jpg 400w, https://s3.amazonaws.com/wmfeimages/wp-content/uploads/2017/01/27150022/iss044e033362-veggie1_1.jpg 768w, https://s3.amazonaws.com/wmfeimages/wp-content/uploads/2017/01/27150022/iss044e033362-veggie1_1.jpg 743w" sizes="(max-width: 743px) 100vw, 743px" />Astronauts on the International Space Station are growing their own food. So how do you grow plants in space? <img width="640" height="427" src="https://i0.wp.com/s3.amazonaws.com/wmfeimages/wp-content/uploads/2017/01/20164519/8567828196_810cd563d5_z.jpg?fit=640%2C427&ssl=1" class="webfeedsFeaturedVisual wp-post-image" alt="" style="display: block; margin: auto; margin-bottom: 5px;max-width: 100%;" link_thumbnail="" srcset="https://s3.amazonaws.com/wmfeimages/wp-content/uploads/2017/01/20164519/8567828196_810cd563d5_z.jpg 640w, https://s3.amazonaws.com/wmfeimages/wp-content/uploads/2017/01/20164519/8567828196_810cd563d5_z.jpg 250w, https://s3.amazonaws.com/wmfeimages/wp-content/uploads/2017/01/20164519/8567828196_810cd563d5_z.jpg 400w" sizes="(max-width: 640px) 100vw, 640px" />As President Trump begins his term, he'll appoint a new NASA Administrator. That new head of the public space program will steer NASA's vision for space exploration. So where is it heading? <img width="743" height="496" src="https://i2.wp.com/s3.amazonaws.com/wmfeimages/wp-content/uploads/2017/01/13161036/cassini.jpg?fit=743%2C496&ssl=1" class="webfeedsFeaturedVisual wp-post-image" alt="" style="display: block; margin: auto; margin-bottom: 5px;max-width: 100%;" link_thumbnail="" srcset="https://s3.amazonaws.com/wmfeimages/wp-content/uploads/2017/01/13161036/cassini.jpg 1060w, https://s3.amazonaws.com/wmfeimages/wp-content/uploads/2017/01/13161036/cassini.jpg 250w, https://s3.amazonaws.com/wmfeimages/wp-content/uploads/2017/01/13161036/cassini.jpg 400w, https://s3.amazonaws.com/wmfeimages/wp-content/uploads/2017/01/13161036/cassini.jpg 768w, https://s3.amazonaws.com/wmfeimages/wp-content/uploads/2017/01/13161036/cassini.jpg 743w" sizes="(max-width: 743px) 100vw, 743px" />The Cassini spacecraft has been exploring Saturn since launching in 1997. Cassini gave planetary scientists incredible insight into the planet’s rings, it’s surface, and moons. As it enters it's final year, UCF Professor and Planetary Scientist Josh Colwell reflects on what insight the spacecraft provided to planetary scientists. <img width="743" height="494" src="https://i0.wp.com/s3.amazonaws.com/wmfeimages/wp-content/uploads/2017/01/06150247/george_takei_weightless_on_zero-g_copyright_al_powers_2016.jpg?fit=743%2C494&ssl=1" class="webfeedsFeaturedVisual wp-post-image" alt="" style="display: block; margin: auto; margin-bottom: 5px;max-width: 100%;" link_thumbnail="" srcset="https://s3.amazonaws.com/wmfeimages/wp-content/uploads/2017/01/06150247/george_takei_weightless_on_zero-g_copyright_al_powers_2016.jpg 1000w, https://s3.amazonaws.com/wmfeimages/wp-content/uploads/2017/01/06150247/george_takei_weightless_on_zero-g_copyright_al_powers_2016.jpg 250w, https://s3.amazonaws.com/wmfeimages/wp-content/uploads/2017/01/06150247/george_takei_weightless_on_zero-g_copyright_al_powers_2016.jpg 400w, https://s3.amazonaws.com/wmfeimages/wp-content/uploads/2017/01/06150247/george_takei_weightless_on_zero-g_copyright_al_powers_2016.jpg 768w, https://s3.amazonaws.com/wmfeimages/wp-content/uploads/2017/01/06150247/george_takei_weightless_on_zero-g_copyright_al_powers_2016.jpg 743w" sizes="(max-width: 743px) 100vw, 743px" />George Takei is best known for his role as Sulu, helmsmen on the USS Enterprise during the show Star Trek. George took some time to chat with "Are We There Yet?" about Star Trek, science fiction, and equality in the 23rd century. <img width="743" height="397" src="https://i2.wp.com/s3.amazonaws.com/wmfeimages/wp-content/uploads/2016/12/16145623/112116_MO_review_main.jpg?fit=743%2C397&ssl=1" class="webfeedsFeaturedVisual wp-post-image" alt="" style="display: block; margin: auto; margin-bottom: 5px;max-width: 100%;" link_thumbnail="" srcset="https://s3.amazonaws.com/wmfeimages/wp-content/uploads/2016/12/16145623/112116_MO_review_main.jpg 860w, https://s3.amazonaws.com/wmfeimages/wp-content/uploads/2016/12/16145623/112116_MO_review_main.jpg 250w, https://s3.amazonaws.com/wmfeimages/wp-content/uploads/2016/12/16145623/112116_MO_review_main.jpg 400w, https://s3.amazonaws.com/wmfeimages/wp-content/uploads/2016/12/16145623/112116_MO_review_main.jpg 768w, https://s3.amazonaws.com/wmfeimages/wp-content/uploads/2016/12/16145623/112116_MO_review_main.jpg 743w" sizes="(max-width: 743px) 100vw, 743px" />'The Glass Universe' explores how the women of Harvard Observatory in 1890 broke through the gender barrier and revolutionized the way astronomers observe the night sky. <img width="743" height="743" src="https://i2.wp.com/s3.amazonaws.com/wmfeimages/wp-content/uploads/2016/12/09114947/Everyday-Astronaut-3682-web-1.jpg?fit=743%2C743&ssl=1" class="webfeedsFeaturedVisual wp-post-image" alt="" style="display: block; margin: auto; margin-bottom: 5px;max-width: 100%;" link_thumbnail="" srcset="https://s3.amazonaws.com/wmfeimages/wp-content/uploads/2016/12/09114947/Everyday-Astronaut-3682-web-1.jpg 1000w, https://s3.amazonaws.com/wmfeimages/wp-content/uploads/2016/12/09114947/Everyday-Astronaut-3682-web-1.jpg 250w, https://s3.amazonaws.com/wmfeimages/wp-content/uploads/2016/12/09114947/Everyday-Astronaut-3682-web-1.jpg 400w, https://s3.amazonaws.com/wmfeimages/wp-content/uploads/2016/12/09114947/Everyday-Astronaut-3682-web-1.jpg 768w, https://s3.amazonaws.com/wmfeimages/wp-content/uploads/2016/12/09114947/Everyday-Astronaut-3682-web-1.jpg 743w, https://s3.amazonaws.com/wmfeimages/wp-content/uploads/2016/12/09114947/Everyday-Astronaut-3682-web-1.jpg 144w" sizes="(max-width: 743px) 100vw, 743px" />It started with a space suit, a bit of imagination and a near-death experience. Have You Ever Seen (Through) The Rain? <img width="743" height="418" src="https://i2.wp.com/s3.amazonaws.com/wmfeimages/wp-content/uploads/2016/11/23123130/cygnss-16.jpg?fit=743%2C418&ssl=1" class="webfeedsFeaturedVisual wp-post-image" alt="" style="display: block; margin: auto; margin-bottom: 5px;max-width: 100%;" link_thumbnail="" srcset="https://s3.amazonaws.com/wmfeimages/wp-content/uploads/2016/11/23123130/cygnss-16.jpg 1060w, https://s3.amazonaws.com/wmfeimages/wp-content/uploads/2016/11/23123130/cygnss-16.jpg 250w, https://s3.amazonaws.com/wmfeimages/wp-content/uploads/2016/11/23123130/cygnss-16.jpg 400w, https://s3.amazonaws.com/wmfeimages/wp-content/uploads/2016/11/23123130/cygnss-16.jpg 768w, https://s3.amazonaws.com/wmfeimages/wp-content/uploads/2016/11/23123130/cygnss-16.jpg 743w" sizes="(max-width: 743px) 100vw, 743px" />A fleet of 8 toaster-oven sized satellites are heading to orbit with the task of seeing through rain. NASA’s Cyclone Global Navigation Satellite System will measure wind speeds in the tropics to better understand cyclones and hurricanes. And it does this in a pretty interesting way: using left-over GPS signals beamed down to earth. <img width="450" height="338" src="https://i0.wp.com/s3.amazonaws.com/wmfeimages/wp-content/uploads/2016/11/18120235/human_factors4.jpg?fit=450%2C338&ssl=1" class="webfeedsFeaturedVisual wp-post-image" alt="" style="display: block; margin: auto; margin-bottom: 5px;max-width: 100%;" link_thumbnail="" srcset="https://s3.amazonaws.com/wmfeimages/wp-content/uploads/2016/11/18120235/human_factors4.jpg 450w, https://s3.amazonaws.com/wmfeimages/wp-content/uploads/2016/11/18120235/human_factors4.jpg 250w, https://s3.amazonaws.com/wmfeimages/wp-content/uploads/2016/11/18120235/human_factors4.jpg 400w" sizes="(max-width: 450px) 100vw, 450px" />John French wants to make people throw up. But don't worry, it's for science! <img width="743" height="619" src="https://i1.wp.com/s3.amazonaws.com/wmfeimages/wp-content/uploads/2016/11/11142926/492704main_junoartist200904-full_full.jpg?fit=743%2C619&ssl=1" class="webfeedsFeaturedVisual wp-post-image" alt="" style="display: block; margin: auto; margin-bottom: 5px;max-width: 100%;" link_thumbnail="" srcset="https://s3.amazonaws.com/wmfeimages/wp-content/uploads/2016/11/11142926/492704main_junoartist200904-full_full.jpg 985w, https://s3.amazonaws.com/wmfeimages/wp-content/uploads/2016/11/11142926/492704main_junoartist200904-full_full.jpg 250w, https://s3.amazonaws.com/wmfeimages/wp-content/uploads/2016/11/11142926/492704main_junoartist200904-full_full.jpg 400w, https://s3.amazonaws.com/wmfeimages/wp-content/uploads/2016/11/11142926/492704main_junoartist200904-full_full.jpg 768w, https://s3.amazonaws.com/wmfeimages/wp-content/uploads/2016/11/11142926/492704main_junoartist200904-full_full.jpg 743w" sizes="(max-width: 743px) 100vw, 743px" />Some troubling times for spacecrafts around our solar systems over the past view weeks. Juno, the Jupiter orbiter, entered safe mode after engine troubles. And the ExoMars lander crashed hard onto the martian surface. <img width="743" height="495" src="https://i1.wp.com/s3.amazonaws.com/wmfeimages/wp-content/uploads/2016/11/04131120/MM8449_160306_01111.ngsversion.1476472805004.adapt_.945.1.jpg?fit=743%2C495&ssl=1" class="webfeedsFeaturedVisual wp-post-image" alt="" style="display: block; margin: auto; margin-bottom: 5px;max-width: 100%;" link_thumbnail="" srcset="https://s3.amazonaws.com/wmfeimages/wp-content/uploads/2016/11/04131120/MM8449_160306_01111.ngsversion.1476472805004.adapt_.945.1.jpg 945w, https://s3.amazonaws.com/wmfeimages/wp-content/uploads/2016/11/04131120/MM8449_160306_01111.ngsversion.1476472805004.adapt_.945.1.jpg 250w, https://s3.amazonaws.com/wmfeimages/wp-content/uploads/2016/11/04131120/MM8449_160306_01111.ngsversion.1476472805004.adapt_.945.1.jpg 400w, https://s3.amazonaws.com/wmfeimages/wp-content/uploads/2016/11/04131120/MM8449_160306_01111.ngsversion.1476472805004.adapt_.945.1.jpg 768w, https://s3.amazonaws.com/wmfeimages/wp-content/uploads/2016/11/04131120/MM8449_160306_01111.ngsversion.1476472805004.adapt_.945.1.jpg 743w" sizes="(max-width: 743px) 100vw, 743px" />If you picked up this month’s copy of National Geographic, you’ll see a composite photo of Mars, taken by India’s Mars Orbiter Mission Probe. It’s a sneak peak at what’s to come this month from National Geographic: an in-depth look at colonizing the red planet. <img width="743" height="495" src="https://i2.wp.com/s3.amazonaws.com/wmfeimages/wp-content/uploads/2016/10/28104548/26756941321_6b7208ba1f_b.jpg?fit=743%2C495&ssl=1" class="webfeedsFeaturedVisual wp-post-image" alt="" style="display: block; margin: auto; margin-bottom: 5px;max-width: 100%;" link_thumbnail="" srcset="https://s3.amazonaws.com/wmfeimages/wp-content/uploads/2016/10/28104548/26756941321_6b7208ba1f_b.jpg 1024w, https://s3.amazonaws.com/wmfeimages/wp-content/uploads/2016/10/28104548/26756941321_6b7208ba1f_b.jpg 250w, https://s3.amazonaws.com/wmfeimages/wp-content/uploads/2016/10/28104548/26756941321_6b7208ba1f_b.jpg 400w, https://s3.amazonaws.com/wmfeimages/wp-content/uploads/2016/10/28104548/26756941321_6b7208ba1f_b.jpg 768w, https://s3.amazonaws.com/wmfeimages/wp-content/uploads/2016/10/28104548/26756941321_6b7208ba1f_b.jpg 743w" sizes="(max-width: 743px) 100vw, 743px" />We’re about to see things in the universe never before seen. The James Webb Space Telescope is huge and it’s going to give us a peek at things from a perspective we haven’t seen before. <img width="743" height="502" src="https://i2.wp.com/s3.amazonaws.com/wmfeimages/wp-content/uploads/2016/10/21151420/jfk-rice-univ.jpg?fit=743%2C502&ssl=1" class="webfeedsFeaturedVisual wp-post-image" alt="" style="display: block; margin: auto; margin-bottom: 5px;max-width: 100%;" link_thumbnail="" srcset="https://s3.amazonaws.com/wmfeimages/wp-content/uploads/2016/10/21151420/jfk-rice-univ.jpg 800w, https://s3.amazonaws.com/wmfeimages/wp-content/uploads/2016/10/21151420/jfk-rice-univ.jpg 250w, https://s3.amazonaws.com/wmfeimages/wp-content/uploads/2016/10/21151420/jfk-rice-univ.jpg 400w, https://s3.amazonaws.com/wmfeimages/wp-content/uploads/2016/10/21151420/jfk-rice-univ.jpg 768w, https://s3.amazonaws.com/wmfeimages/wp-content/uploads/2016/10/21151420/jfk-rice-univ.jpg 743w" sizes="(max-width: 743px) 100vw, 743px" />John F. Kennedy’s speech sent the U.S. on a moonshot and by the end of the decade, just as he said, we put men on the moon. Now, we’re looking to Mars as our next moon-shot with visionaries like NASA’s Charlie Bolden and SpaceX’s Elon Musk promising to send humans to the red planet. <img width="732" height="520" src="https://i1.wp.com/s3.amazonaws.com/wmfeimages/wp-content/uploads/2016/10/14085321/InSight-instruments-artist-concept-PIA17358-br.jpg?fit=732%2C520&ssl=1" class="webfeedsFeaturedVisual wp-post-image" alt="" style="display: block; margin: auto; margin-bottom: 5px;max-width: 100%;" link_thumbnail="" srcset="https://s3.amazonaws.com/wmfeimages/wp-content/uploads/2016/10/14085321/InSight-instruments-artist-concept-PIA17358-br.jpg 732w, https://s3.amazonaws.com/wmfeimages/wp-content/uploads/2016/10/14085321/InSight-instruments-artist-concept-PIA17358-br.jpg 250w, https://s3.amazonaws.com/wmfeimages/wp-content/uploads/2016/10/14085321/InSight-instruments-artist-concept-PIA17358-br.jpg 400w" sizes="(max-width: 732px) 100vw, 732px" />Did you know there are earthquakes on Mars. Or would you call them Mars-quakes? <img width="704" height="435" src="https://i0.wp.com/s3.amazonaws.com/wmfeimages/wp-content/uploads/2016/09/30135941/musk.png?fit=704%2C435&ssl=1" class="webfeedsFeaturedVisual wp-post-image" alt="" style="display: block; margin: auto; margin-bottom: 5px;max-width: 100%;" link_thumbnail="" srcset="https://s3.amazonaws.com/wmfeimages/wp-content/uploads/2016/09/30135941/musk.png 704w, https://s3.amazonaws.com/wmfeimages/wp-content/uploads/2016/09/30135941/musk.png 250w, https://s3.amazonaws.com/wmfeimages/wp-content/uploads/2016/09/30135941/musk.png 400w" sizes="(max-width: 704px) 100vw, 704px" />Elon Musk wants to go to Mars. The SpaceX founder and multi-planetary visionary outlined his plan to colonize Mars at a talk at the International Astronautical Congress. <img width="743" height="440" src="https://i2.wp.com/s3.amazonaws.com/wmfeimages/wp-content/uploads/2016/09/19123458/Buzz-Aldrin-and-Curiosity.png?fit=743%2C440&ssl=1" class="webfeedsFeaturedVisual wp-post-image" alt="" style="display: block; margin: auto; margin-bottom: 5px;max-width: 100%;" link_thumbnail="" srcset="https://s3.amazonaws.com/wmfeimages/wp-content/uploads/2016/09/19123458/Buzz-Aldrin-and-Curiosity.png 1060w, https://s3.amazonaws.com/wmfeimages/wp-content/uploads/2016/09/19123458/Buzz-Aldrin-and-Curiosity.png 250w, https://s3.amazonaws.com/wmfeimages/wp-content/uploads/2016/09/19123458/Buzz-Aldrin-and-Curiosity.png 400w, https://s3.amazonaws.com/wmfeimages/wp-content/uploads/2016/09/19123458/Buzz-Aldrin-and-Curiosity.png 768w, https://s3.amazonaws.com/wmfeimages/wp-content/uploads/2016/09/19123458/Buzz-Aldrin-and-Curiosity.png 743w" sizes="(max-width: 743px) 100vw, 743px" />What’s it like to walk on Mars? I’m sure if you listen to this podcast you’ve at least thought about that question. Thanks to Microsoft’s HoloLens, and the incredible engineers over at NASA’s Jet Propulsion Lab, you can know experience what it’s like to walk on Mars. <img width="743" height="496" src="https://i1.wp.com/s3.amazonaws.com/wmfeimages/wp-content/uploads/2016/09/16154552/10468196_927425747281677_8896994877202785263_o.jpg?fit=743%2C496&ssl=1" class="webfeedsFeaturedVisual wp-post-image" alt="" style="display: block; margin: auto; margin-bottom: 5px;max-width: 100%;" link_thumbnail="" srcset="https://s3.amazonaws.com/wmfeimages/wp-content/uploads/2016/09/16154552/10468196_927425747281677_8896994877202785263_o.jpg 1060w, https://s3.amazonaws.com/wmfeimages/wp-content/uploads/2016/09/16154552/10468196_927425747281677_8896994877202785263_o.jpg 250w, https://s3.amazonaws.com/wmfeimages/wp-content/uploads/2016/09/16154552/10468196_927425747281677_8896994877202785263_o.jpg 400w, https://s3.amazonaws.com/wmfeimages/wp-content/uploads/2016/09/16154552/10468196_927425747281677_8896994877202785263_o.jpg 768w, https://s3.amazonaws.com/wmfeimages/wp-content/uploads/2016/09/16154552/10468196_927425747281677_8896994877202785263_o.jpg 743w" sizes="(max-width: 743px) 100vw, 743px" />At the Kennedy Space Center, there’s a groups of scientists and engineers that think outside the box when it comes building the tools that will one day take us to Mars. <img width="743" height="418" src="https://i0.wp.com/s3.amazonaws.com/wmfeimages/wp-content/uploads/2016/09/12160243/image.jpg?fit=743%2C418&ssl=1" class="webfeedsFeaturedVisual wp-post-image" alt="" style="display: block; margin: auto; margin-bottom: 5px;max-width: 100%;" link_thumbnail="" srcset="https://s3.amazonaws.com/wmfeimages/wp-content/uploads/2016/09/12160243/image.jpg 960w, https://s3.amazonaws.com/wmfeimages/wp-content/uploads/2016/09/12160243/image.jpg 250w, https://s3.amazonaws.com/wmfeimages/wp-content/uploads/2016/09/12160243/image.jpg 400w, https://s3.amazonaws.com/wmfeimages/wp-content/uploads/2016/09/12160243/image.jpg 768w, https://s3.amazonaws.com/wmfeimages/wp-content/uploads/2016/09/12160243/image.jpg 743w" sizes="(max-width: 743px) 100vw, 743px" />Commander Chris Hadfield has been to space three times. On the Shuttle twice and served as Commander on the International Space Station. He was the first Canadian astronaut to walk in space and produced a rendition of David Bowie’s Space Oddity from orbit. <img width="743" height="477" src="https://i0.wp.com/s3.amazonaws.com/wmfeimages/wp-content/uploads/2016/09/30124246/OSIRIS.jpg?fit=743%2C477&ssl=1" class="webfeedsFeaturedVisual wp-post-image" alt="" style="display: block; margin: auto; margin-bottom: 5px;max-width: 100%;" link_thumbnail="" srcset="https://s3.amazonaws.com/wmfeimages/wp-content/uploads/2016/09/30124246/OSIRIS.jpg 743w, https://s3.amazonaws.com/wmfeimages/wp-content/uploads/2016/09/30124246/OSIRIS.jpg 250w, https://s3.amazonaws.com/wmfeimages/wp-content/uploads/2016/09/30124246/OSIRIS.jpg 400w" sizes="(max-width: 743px) 100vw, 743px" />NASA and its academic partners are about to do something they’ve never done before: launch a spacecraft, rendezvous with an asteroid, collect a sample of regolith, or dust, from the surface and return it to Earth. <img width="620" height="372" src="https://i1.wp.com/s3.amazonaws.com/wmfeimages/wp-content/uploads/2016/08/25162238/proximab.jpg?fit=620%2C372&ssl=1" class="webfeedsFeaturedVisual wp-post-image" alt="" style="display: block; margin: auto; margin-bottom: 5px;max-width: 100%;" link_thumbnail="" srcset="https://s3.amazonaws.com/wmfeimages/wp-content/uploads/2016/08/25162238/proximab.jpg 620w, https://s3.amazonaws.com/wmfeimages/wp-content/uploads/2016/08/25162238/proximab.jpg 250w, https://s3.amazonaws.com/wmfeimages/wp-content/uploads/2016/08/25162238/proximab.jpg 400w" sizes="(max-width: 620px) 100vw, 620px" />You’ve probably already heard by now, but scientist just discover an exoplanet that might just be like Earth. Joseph Harrington is a planetary scientist in the Department of Physics at the University of Central Florida and he’s going to try and spot evidence of the planet using telescopes in space. <img width="500" height="326" src="https://i0.wp.com/s3.amazonaws.com/wmfeimages/wp-content/uploads/2016/08/19122135/Red_White_Blood_cells.jpg?fit=500%2C326&ssl=1" class="webfeedsFeaturedVisual wp-post-image" alt="" style="display: block; margin: auto; margin-bottom: 5px;max-width: 100%;" link_thumbnail="" srcset="https://s3.amazonaws.com/wmfeimages/wp-content/uploads/2016/08/19122135/Red_White_Blood_cells.jpg 500w, https://s3.amazonaws.com/wmfeimages/wp-content/uploads/2016/08/19122135/Red_White_Blood_cells.jpg 250w, https://s3.amazonaws.com/wmfeimages/wp-content/uploads/2016/08/19122135/Red_White_Blood_cells.jpg 400w" sizes="(max-width: 500px) 100vw, 500px" />Researchers noticed something strange about astronauts returning from space. They were getting sick from viruses that should have remained in check by their immune systems. <img width="743" height="418" src="https://i2.wp.com/s3.amazonaws.com/wmfeimages/wp-content/uploads/2016/08/03142120/moon-express-lunar-lander-art.jpg?fit=743%2C418&ssl=1" class="webfeedsFeaturedVisual wp-post-image" alt="" style="display: block; margin: auto; margin-bottom: 5px;max-width: 100%;" link_thumbnail="" srcset="https://s3.amazonaws.com/wmfeimages/wp-content/uploads/2016/08/03142120/moon-express-lunar-lander-art.jpg 743w, https://s3.amazonaws.com/wmfeimages/wp-content/uploads/2016/08/03142120/moon-express-lunar-lander-art.jpg 250w, https://s3.amazonaws.com/wmfeimages/wp-content/uploads/2016/08/03142120/moon-express-lunar-lander-art.jpg 400w" sizes="(max-width: 743px) 100vw, 743px" />Moon Express is a startup company competing for Google’s X-Prize. That’s a prize of at least $15 million to the first private company to make it to the moon. But CEO Bob Richards says it not all about the money. <img width="743" height="418" src="https://i2.wp.com/s3.amazonaws.com/wmfeimages/wp-content/uploads/2016/08/05131059/Mars_one_16_1920x1080.jpg?fit=743%2C418&ssl=1" class="webfeedsFeaturedVisual wp-post-image" alt="" style="display: block; margin: auto; margin-bottom: 5px;max-width: 100%;" link_thumbnail="" srcset="https://s3.amazonaws.com/wmfeimages/wp-content/uploads/2016/08/05131059/Mars_one_16_1920x1080.jpg 743w, https://s3.amazonaws.com/wmfeimages/wp-content/uploads/2016/08/05131059/Mars_one_16_1920x1080.jpg 250w, https://s3.amazonaws.com/wmfeimages/wp-content/uploads/2016/08/05131059/Mars_one_16_1920x1080.jpg 400w" sizes="(max-width: 743px) 100vw, 743px" />On this podcast we’ve been focusing a lot on the technology of space exploration. We talked to rocket engineers, scientists, designers. But the ultimate goal of Martian exploration is to colonize the planet and while all this technology is imperative in getting humans to Mars, there’s one aspect of this ambition we haven’t really talked about yet. The first Mars colonists. <img width="743" height="485" src="https://i1.wp.com/s3.amazonaws.com/wmfeimages/wp-content/uploads/2016/07/29153937/20160713_o-keefe-bush_f840.jpg?fit=743%2C485&ssl=1" class="webfeedsFeaturedVisual wp-post-image" alt="" style="display: block; margin: auto; margin-bottom: 5px;max-width: 100%;" link_thumbnail="" srcset="https://s3.amazonaws.com/wmfeimages/wp-content/uploads/2016/07/29153937/20160713_o-keefe-bush_f840.jpg 743w, https://s3.amazonaws.com/wmfeimages/wp-content/uploads/2016/07/29153937/20160713_o-keefe-bush_f840.jpg 250w, https://s3.amazonaws.com/wmfeimages/wp-content/uploads/2016/07/29153937/20160713_o-keefe-bush_f840.jpg 400w" sizes="(max-width: 743px) 100vw, 743px" />Each week, this podcasts asks the question "are we there yet?" but maybe it's time to start asking "how did we get here?" <img width="743" height="453" src="https://i2.wp.com/s3.amazonaws.com/wmfeimages/wp-content/uploads/2016/07/22124035/PIA20759_hires.jpg?fit=743%2C453&ssl=1" class="webfeedsFeaturedVisual wp-post-image" alt="" style="display: block; margin: auto; margin-bottom: 5px;max-width: 100%;" link_thumbnail="" srcset="https://s3.amazonaws.com/wmfeimages/wp-content/uploads/2016/07/22124035/PIA20759_hires.jpg 743w, https://s3.amazonaws.com/wmfeimages/wp-content/uploads/2016/07/22124035/PIA20759_hires.jpg 250w, https://s3.amazonaws.com/wmfeimages/wp-content/uploads/2016/07/22124035/PIA20759_hires.jpg 400w" sizes="(max-width: 743px) 100vw, 743px" />Before we send humans to Mars, we’re exploring the red planet with rovers. NASA reached a critical milestone in the development of the Mars 2020 rover, set to launch in two years. <img width="743" height="495" src="https://i1.wp.com/s3.amazonaws.com/wmfeimages/wp-content/uploads/2016/07/15120200/20160627_qm-2-booster_f840.jpg?fit=743%2C495&ssl=1" class="webfeedsFeaturedVisual wp-post-image" alt="" style="display: block; margin: auto; margin-bottom: 5px;max-width: 100%;" link_thumbnail="" srcset="https://s3.amazonaws.com/wmfeimages/wp-content/uploads/2016/07/15120200/20160627_qm-2-booster_f840.jpg 743w, https://s3.amazonaws.com/wmfeimages/wp-content/uploads/2016/07/15120200/20160627_qm-2-booster_f840.jpg 250w, https://s3.amazonaws.com/wmfeimages/wp-content/uploads/2016/07/15120200/20160627_qm-2-booster_f840.jpg 400w" sizes="(max-width: 743px) 100vw, 743px" />NASA wants to head to Mars. To do that, they’re developing a brand new rocket. But just leaving the Earth’s gravity requires a huge amount of thrust. So the hammer that’s going to launch astronauts to Mars are two Solid Rocket Boosters. <img width="743" height="548" src="https://i0.wp.com/s3.amazonaws.com/wmfeimages/wp-content/uploads/2016/07/01192529/nasa_water_treatment_system.jpg?fit=743%2C548&ssl=1" class="webfeedsFeaturedVisual wp-post-image" alt="" style="display: block; margin: auto; margin-bottom: 5px;max-width: 100%;" link_thumbnail="" srcset="https://s3.amazonaws.com/wmfeimages/wp-content/uploads/2016/07/01192529/nasa_water_treatment_system.jpg 743w, https://s3.amazonaws.com/wmfeimages/wp-content/uploads/2016/07/01192529/nasa_water_treatment_system.jpg 250w, https://s3.amazonaws.com/wmfeimages/wp-content/uploads/2016/07/01192529/nasa_water_treatment_system.jpg 400w" sizes="(max-width: 743px) 100vw, 743px" />If we're going to Mars, we've got to maximize the resources we're taking by recycling, and that includes water. That's right, astronauts are going to have to recycle their urine. Actually, they already do, and the technology is getting better. What ‘Chu Know About Juno? <img width="743" height="557" src="https://i2.wp.com/s3.amazonaws.com/wmfeimages/wp-content/uploads/2016/06/22160258/528777main_pia13746-43_full.jpg?fit=743%2C557&ssl=1" class="webfeedsFeaturedVisual wp-post-image" alt="" style="display: block; margin: auto; margin-bottom: 5px;max-width: 100%;" link_thumbnail="" srcset="https://s3.amazonaws.com/wmfeimages/wp-content/uploads/2016/06/22160258/528777main_pia13746-43_full.jpg 743w, https://s3.amazonaws.com/wmfeimages/wp-content/uploads/2016/06/22160258/528777main_pia13746-43_full.jpg 250w, https://s3.amazonaws.com/wmfeimages/wp-content/uploads/2016/06/22160258/528777main_pia13746-43_full.jpg 400w" sizes="(max-width: 743px) 100vw, 743px" />It’s been five years since Juno launched from Cape Canaveral. Once it enters its polar orbit, we’re going to learn so much about the make-up of the planet, as well as key scientific findings that will help us better understand how planets and solar systems form. <img width="467" height="331" src="https://i2.wp.com/s3.amazonaws.com/wmfeimages/wp-content/uploads/2016/06/09143731/redworks.png?fit=467%2C331&ssl=1" class="webfeedsFeaturedVisual wp-post-image" alt="" style="display: block; margin: auto; margin-bottom: 5px;max-width: 100%;" link_thumbnail="" srcset="https://s3.amazonaws.com/wmfeimages/wp-content/uploads/2016/06/09143731/redworks.png 467w, https://s3.amazonaws.com/wmfeimages/wp-content/uploads/2016/06/09143731/redworks.png 250w, https://s3.amazonaws.com/wmfeimages/wp-content/uploads/2016/06/09143731/redworks.png 400w" sizes="(max-width: 467px) 100vw, 467px" />If we’re going to work and live on Mars, we need a place to live. What if we could build a habitat when we get there? <img width="743" height="418" src="https://i2.wp.com/s3.amazonaws.com/wmfeimages/wp-content/uploads/2016/05/27154128/1462995641691.jpg?fit=743%2C418&ssl=1" class="webfeedsFeaturedVisual wp-post-image" alt="" style="display: block; margin: auto; margin-bottom: 5px;max-width: 100%;" link_thumbnail="" srcset="https://s3.amazonaws.com/wmfeimages/wp-content/uploads/2016/05/27154128/1462995641691.jpg 743w, https://s3.amazonaws.com/wmfeimages/wp-content/uploads/2016/05/27154128/1462995641691.jpg 250w, https://s3.amazonaws.com/wmfeimages/wp-content/uploads/2016/05/27154128/1462995641691.jpg 400w" sizes="(max-width: 743px) 100vw, 743px" />Tony Antonelli spent 24 days in space as a shuttle pilot, working on building the International Space Station. Now, he’s the chief technologist for Lockheed Martin’s civil exploration division. And he’s working on building the next space station, this one bound for Mars. <img width="743" height="418" src="https://i1.wp.com/s3.amazonaws.com/wmfeimages/wp-content/uploads/2016/05/20130455/NASA-TESS.jpg?fit=743%2C418&ssl=1" class="webfeedsFeaturedVisual wp-post-image" alt="" style="display: block; margin: auto; margin-bottom: 5px;max-width: 100%;" link_thumbnail="" srcset="https://s3.amazonaws.com/wmfeimages/wp-content/uploads/2016/05/20130455/NASA-TESS.jpg 743w, https://s3.amazonaws.com/wmfeimages/wp-content/uploads/2016/05/20130455/NASA-TESS.jpg 250w, https://s3.amazonaws.com/wmfeimages/wp-content/uploads/2016/05/20130455/NASA-TESS.jpg 400w" sizes="(max-width: 743px) 100vw, 743px" />NASA’s Kepler telescope discovered 1,284 new planets outside our solar system. They’re called exoplanets and the total count is now more than 3,000 confirmed planets. The telescope is only looking at a tiny fraction of the sky. The Transiting Exoplanet Survey Satellite -- or TESS for short -- is the next chapter in the search for other planets. <img width="610" height="374" src="https://i1.wp.com/s3.amazonaws.com/wmfeimages/wp-content/uploads/2016/05/06083150/space-station-song.jpg?fit=610%2C374&ssl=1" class="webfeedsFeaturedVisual wp-post-image" alt="" style="display: block; margin: auto; margin-bottom: 5px;max-width: 100%;" link_thumbnail="" srcset="https://s3.amazonaws.com/wmfeimages/wp-content/uploads/2016/05/06083150/space-station-song.jpg 610w, https://s3.amazonaws.com/wmfeimages/wp-content/uploads/2016/05/06083150/space-station-song.jpg 250w, https://s3.amazonaws.com/wmfeimages/wp-content/uploads/2016/05/06083150/space-station-song.jpg 400w" sizes="(max-width: 610px) 100vw, 610px" />Remember going on road trips as a kid - all cooped up in a car for what seemed like forever? Well, imagine being cooped up like that for six months. That’s the typical mission duration on the International Space Station. So how do astronauts put up with each other? And how do they make that tin can in the sky a bit more like home? <img width="743" height="495" src="https://i0.wp.com/s3.amazonaws.com/wmfeimages/wp-content/uploads/2016/04/29161658/20160427_RedDragononMarsconcept_f840.jpg?fit=743%2C495&ssl=1" class="webfeedsFeaturedVisual wp-post-image" alt="" style="display: block; margin: auto; margin-bottom: 5px;max-width: 100%;" link_thumbnail="" srcset="https://s3.amazonaws.com/wmfeimages/wp-content/uploads/2016/04/29161658/20160427_RedDragononMarsconcept_f840.jpg 743w, https://s3.amazonaws.com/wmfeimages/wp-content/uploads/2016/04/29161658/20160427_RedDragononMarsconcept_f840.jpg 250w, https://s3.amazonaws.com/wmfeimages/wp-content/uploads/2016/04/29161658/20160427_RedDragononMarsconcept_f840.jpg 400w" sizes="(max-width: 743px) 100vw, 743px" />SpaceX announced plans to send a Dragon capsule to Mars as earlier as 2018. The Planetary Society's Casey Dreier thinks NASA can take notes. Kicking Rockets To The Curb? <img width="743" height="419" src="https://i2.wp.com/s3.amazonaws.com/wmfeimages/wp-content/uploads/2016/04/22143614/Skyline.png?fit=743%2C419&ssl=1" class="webfeedsFeaturedVisual wp-post-image" alt="" style="display: block; margin: auto; margin-bottom: 5px;max-width: 100%;" link_thumbnail="" srcset="https://s3.amazonaws.com/wmfeimages/wp-content/uploads/2016/04/22143614/Skyline.png 743w, https://s3.amazonaws.com/wmfeimages/wp-content/uploads/2016/04/22143614/Skyline.png 250w, https://s3.amazonaws.com/wmfeimages/wp-content/uploads/2016/04/22143614/Skyline.png 400w" sizes="(max-width: 743px) 100vw, 743px" />Every space exploration mission begins with a countdown. The clock hits zero, the rocket launches and heads to space. But What if we could get rid of rockets all together? <img width="743" height="418" src="https://i2.wp.com/s3.amazonaws.com/wmfeimages/wp-content/uploads/2016/04/11151028/keplerbeautyshot.jpg?fit=743%2C418&ssl=1" class="webfeedsFeaturedVisual wp-post-image" alt="" style="display: block; margin: auto; margin-bottom: 5px;max-width: 100%;" link_thumbnail="" srcset="https://s3.amazonaws.com/wmfeimages/wp-content/uploads/2016/04/11151028/keplerbeautyshot.jpg 743w, https://s3.amazonaws.com/wmfeimages/wp-content/uploads/2016/04/11151028/keplerbeautyshot.jpg 250w, https://s3.amazonaws.com/wmfeimages/wp-content/uploads/2016/04/11151028/keplerbeautyshot.jpg 400w" sizes="(max-width: 743px) 100vw, 743px" />What happens when there’s an emergency on a spacecraft 75 million miles away? Operators of the Kepler deep space telescope ran into that problem recently when a scheduled check-in proved to be a bit more difficult than expected. <img width="743" height="594" src="https://i2.wp.com/www.wmfe.org/wp-content/uploads/2016/03/750px-Plutonium_pellet.jpg?fit=743%2C594&ssl=1" class="webfeedsFeaturedVisual wp-post-image" alt="" style="display: block; margin: auto; margin-bottom: 5px;max-width: 100%;" link_thumbnail="" srcset="https://i2.wp.com/www.wmfe.org/wp-content/uploads/2016/03/750px-Plutonium_pellet.jpg?w=743&ssl=1 743w, https://i2.wp.com/www.wmfe.org/wp-content/uploads/2016/03/750px-Plutonium_pellet.jpg?resize=250%2C200&ssl=1 250w, https://i2.wp.com/www.wmfe.org/wp-content/uploads/2016/03/750px-Plutonium_pellet.jpg?resize=400%2C320&ssl=1 400w" sizes="(max-width: 743px) 100vw, 743px" />Exploring space is a lot like camping -- you need to bring everything with you. And that includes power. So how do scientists 'pack' for deep space missions? And how do you power these probes? NASA's Jim Green explains. <img width="743" height="495" src="https://i1.wp.com/s3.amazonaws.com/wmfeimages/wp-content/uploads/2016/04/01125114/orion_em-1_media_event.jpg?fit=743%2C495&ssl=1" class="webfeedsFeaturedVisual wp-post-image" alt="" style="display: block; margin: auto; margin-bottom: 5px;max-width: 100%;" link_thumbnail="" srcset="https://s3.amazonaws.com/wmfeimages/wp-content/uploads/2016/04/01125114/orion_em-1_media_event.jpg 743w, https://s3.amazonaws.com/wmfeimages/wp-content/uploads/2016/04/01125114/orion_em-1_media_event.jpg 250w, https://s3.amazonaws.com/wmfeimages/wp-content/uploads/2016/04/01125114/orion_em-1_media_event.jpg 400w" sizes="(max-width: 743px) 100vw, 743px" />The interesting thing about the Orion capsule is that it’s being put together at Kennedy Space Center where it will eventually launch. That’s a new technique for NASA. In the past, capsules were shipped to KSC fully assembled. <img width="743" height="497" src="https://i1.wp.com/www.wmfe.org/wp-content/uploads/2016/03/Orion_ground_test_vehicle.jpg?fit=743%2C497&ssl=1" class="webfeedsFeaturedVisual wp-post-image" alt="" style="display: block; margin: auto; margin-bottom: 5px;max-width: 100%;" link_thumbnail="" srcset="https://i1.wp.com/www.wmfe.org/wp-content/uploads/2016/03/Orion_ground_test_vehicle.jpg?w=743&ssl=1 743w, https://i1.wp.com/www.wmfe.org/wp-content/uploads/2016/03/Orion_ground_test_vehicle.jpg?resize=250%2C167&ssl=1 250w, https://i1.wp.com/www.wmfe.org/wp-content/uploads/2016/03/Orion_ground_test_vehicle.jpg?resize=400%2C268&ssl=1 400w" sizes="(max-width: 743px) 100vw, 743px" />If we’re going to go to Mars, we going to need a new spacecraft. That’s what NASA’s Orion capsule is for. <img width="713" height="401" src="https://i2.wp.com/www.wmfe.org/wp-content/uploads/2016/03/rover-e1418780067606.jpg?fit=713%2C401&ssl=1" class="webfeedsFeaturedVisual wp-post-image" alt="" style="display: block; margin: auto; margin-bottom: 5px;max-width: 100%;" link_thumbnail="" srcset="https://i2.wp.com/www.wmfe.org/wp-content/uploads/2016/03/rover-e1418780067606.jpg?w=713&ssl=1 713w, https://i2.wp.com/www.wmfe.org/wp-content/uploads/2016/03/rover-e1418780067606.jpg?resize=250%2C141&ssl=1 250w, https://i2.wp.com/www.wmfe.org/wp-content/uploads/2016/03/rover-e1418780067606.jpg?resize=400%2C225&ssl=1 400w" sizes="(max-width: 713px) 100vw, 713px" />Before we send humans to new worlds, we’re sending robots first. <img width="743" height="372" src="https://i1.wp.com/www.wmfe.org/wp-content/uploads/2016/03/The-Martian-viral-teaser.jpg?fit=743%2C372&ssl=1" class="webfeedsFeaturedVisual wp-post-image" alt="" style="display: block; margin: auto; margin-bottom: 5px;max-width: 100%;" link_thumbnail="" srcset="https://i1.wp.com/www.wmfe.org/wp-content/uploads/2016/03/The-Martian-viral-teaser.jpg?w=743&ssl=1 743w, https://i1.wp.com/www.wmfe.org/wp-content/uploads/2016/03/The-Martian-viral-teaser.jpg?resize=250%2C125&ssl=1 250w, https://i1.wp.com/www.wmfe.org/wp-content/uploads/2016/03/The-Martian-viral-teaser.jpg?resize=400%2C200&ssl=1 400w" sizes="(max-width: 743px) 100vw, 743px" />When it comes to human space exploration, we’re on the brink of something big. We’re going to Mars.